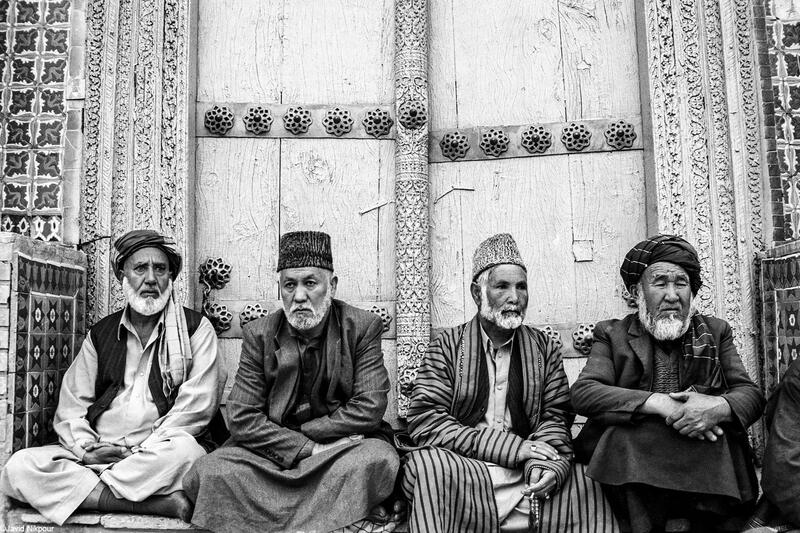 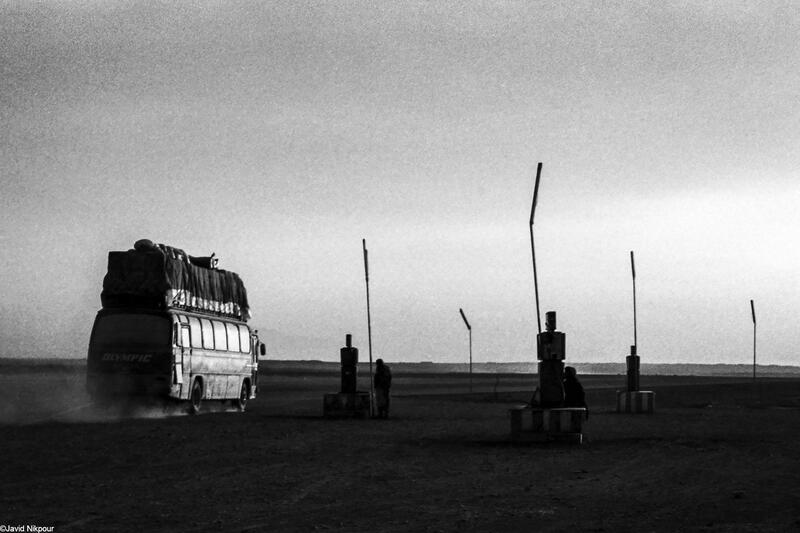 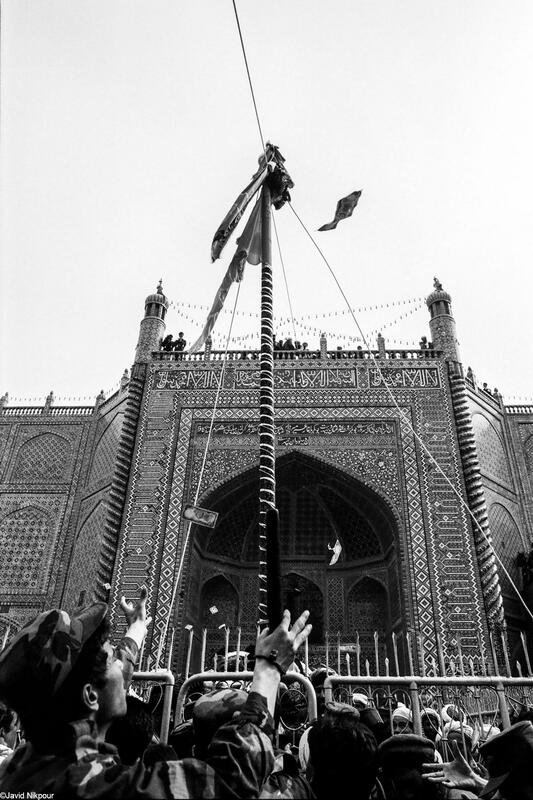 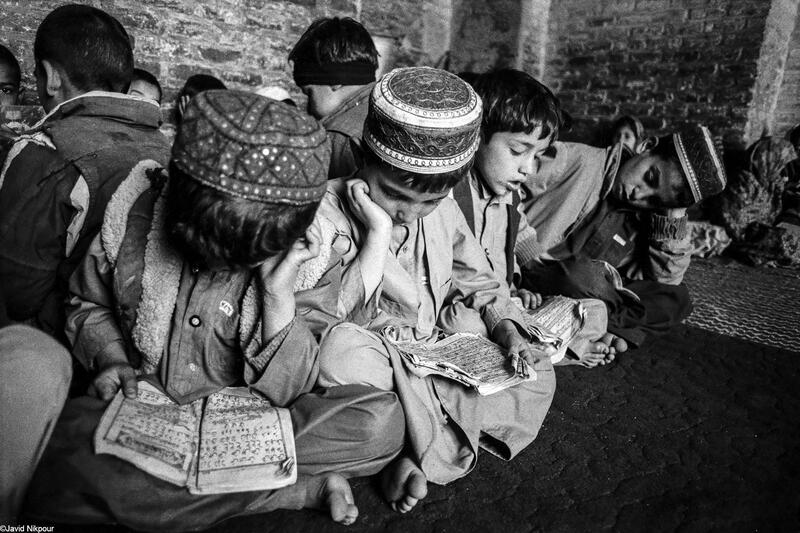 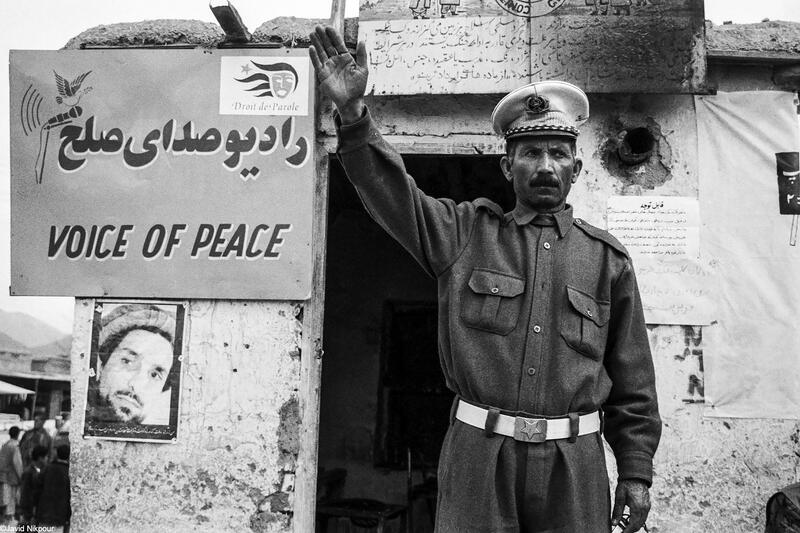 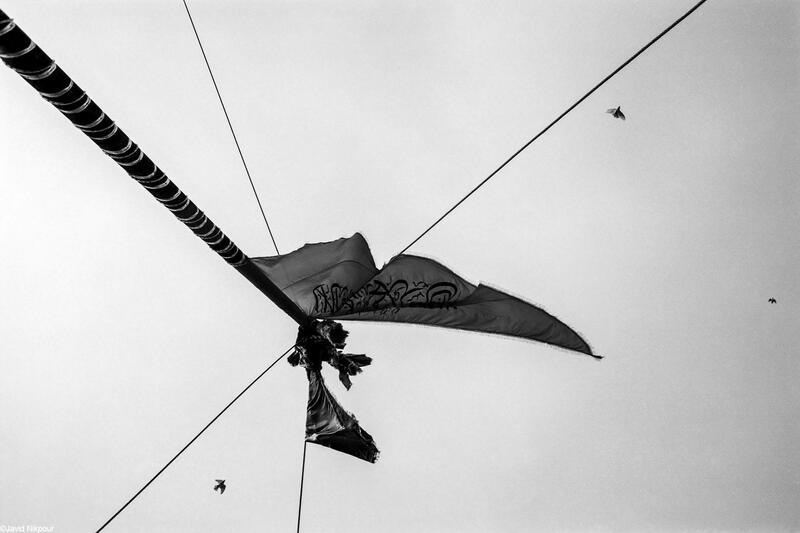 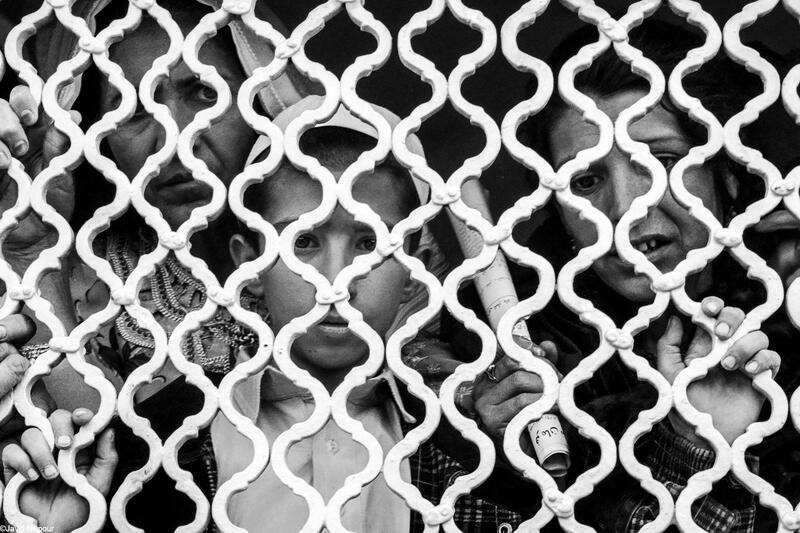 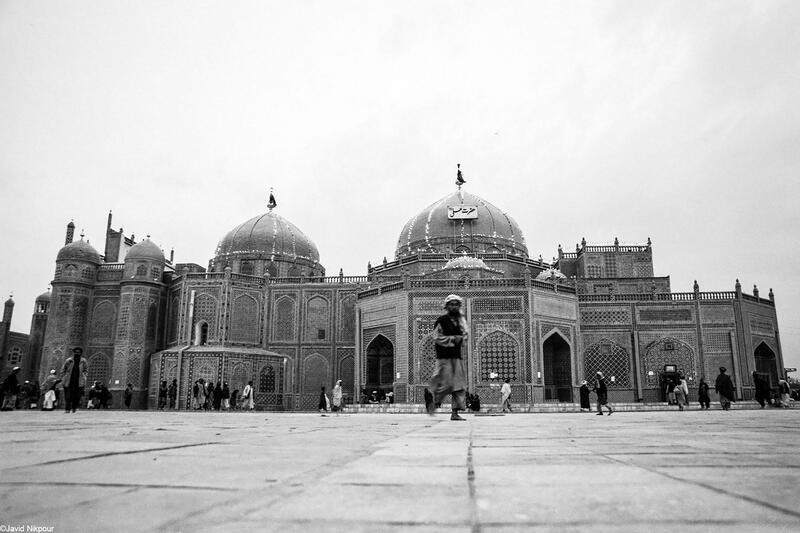 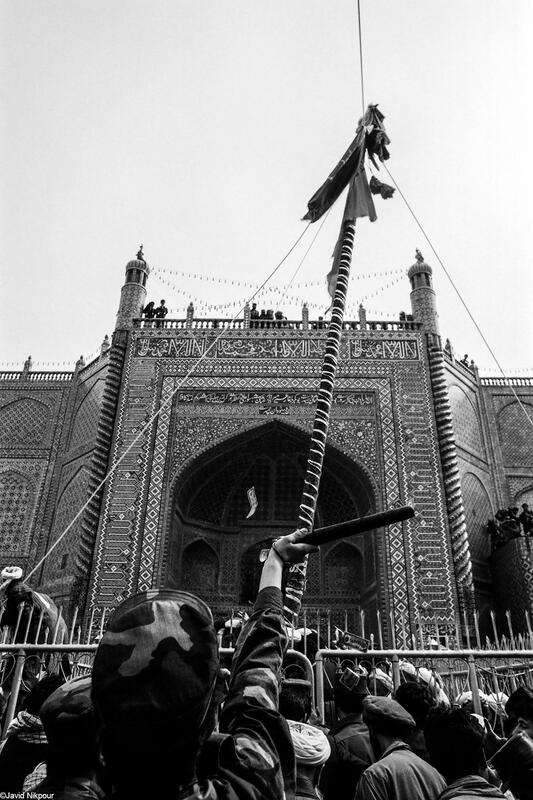 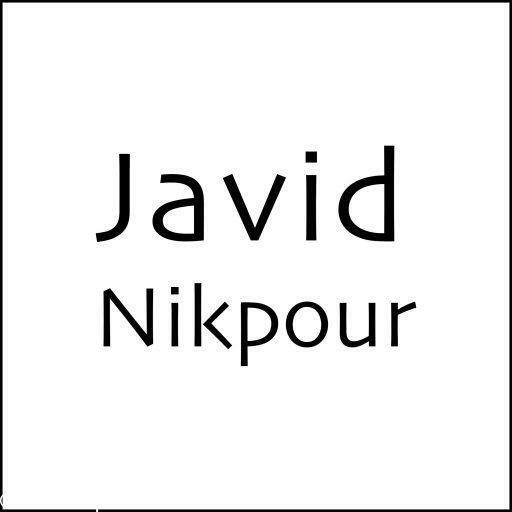 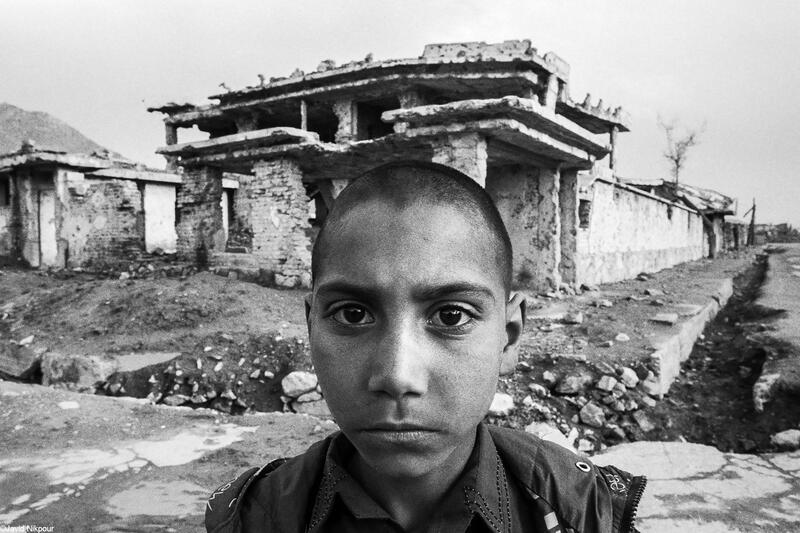 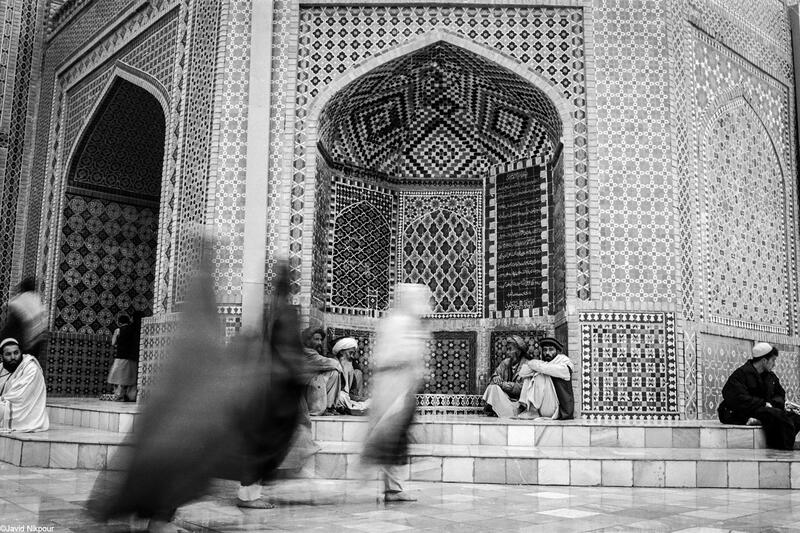 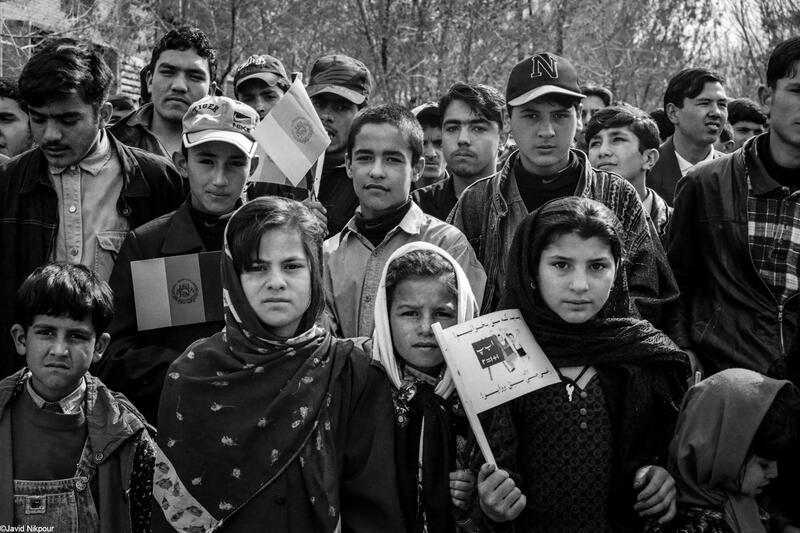 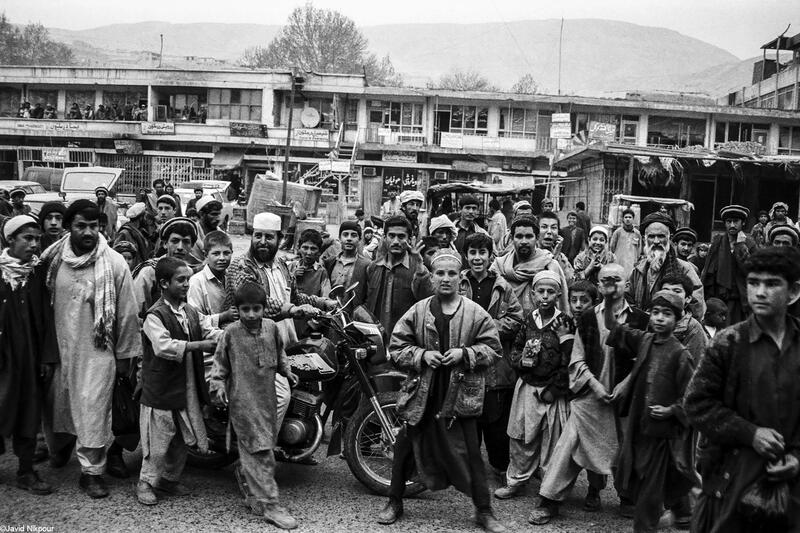 In Spring 2002, I had a ten-day trip to Afghanistan with ABD photo group members (Ahmad Nateghi and Amir Rostami). 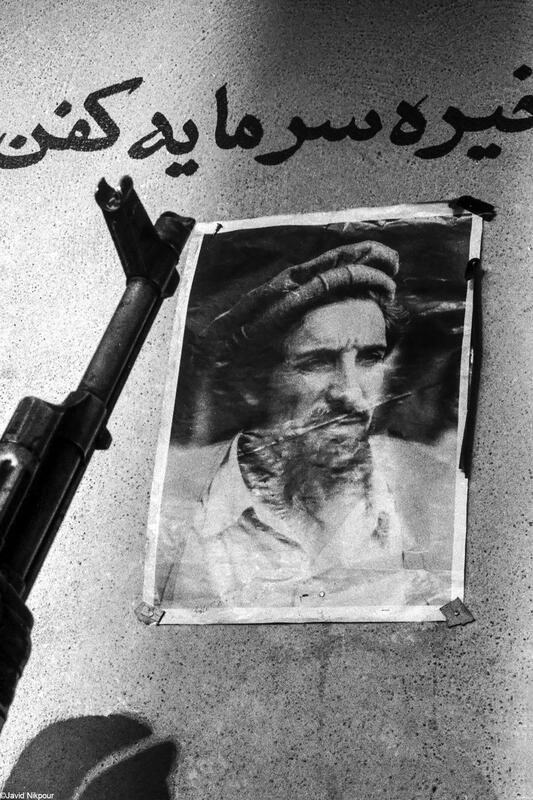 We traveled to Afghanistan a year after the terror of Afghanistan National Hero and Lion of Panjshir “Ahmad Shah Massoud” by al-Qaida. 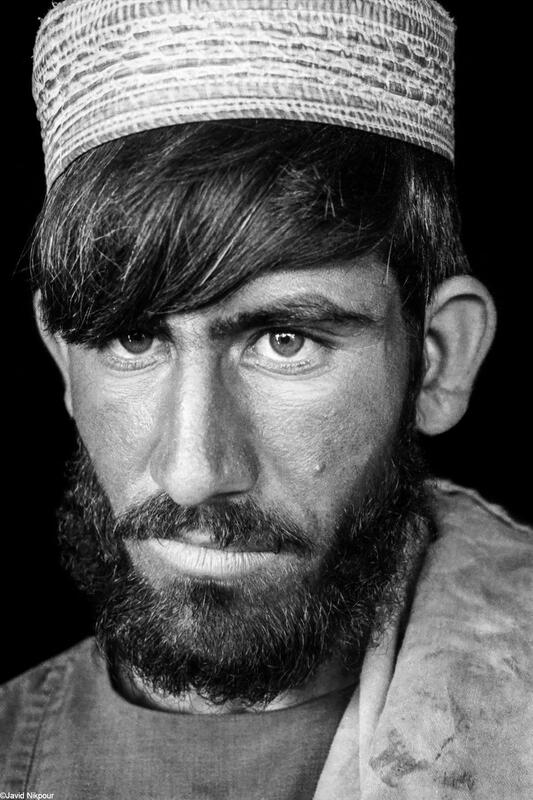 US Army was engaged in war with Taliban and the Afghan government ruled by the incumbent President, Hamid Karzai, was facing a huge challenge against influential people like Gulbuddin Hekmatyar, which provided photographers from big agencies with news feeds every day. 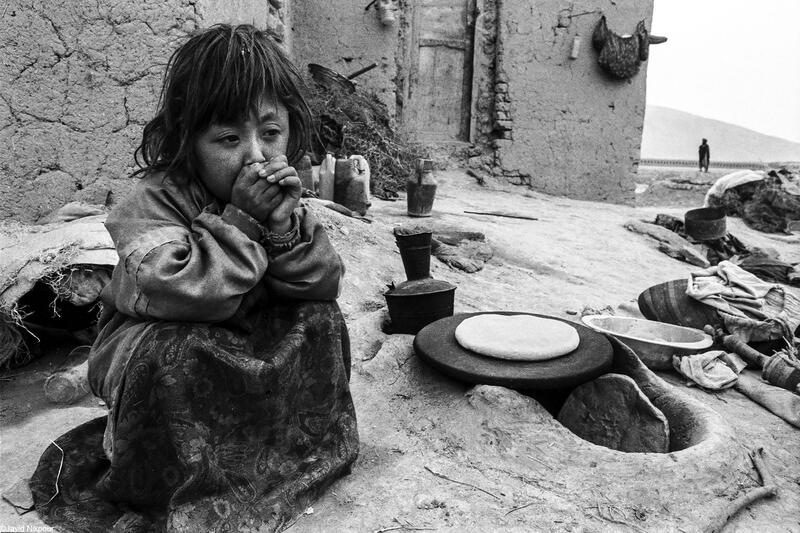 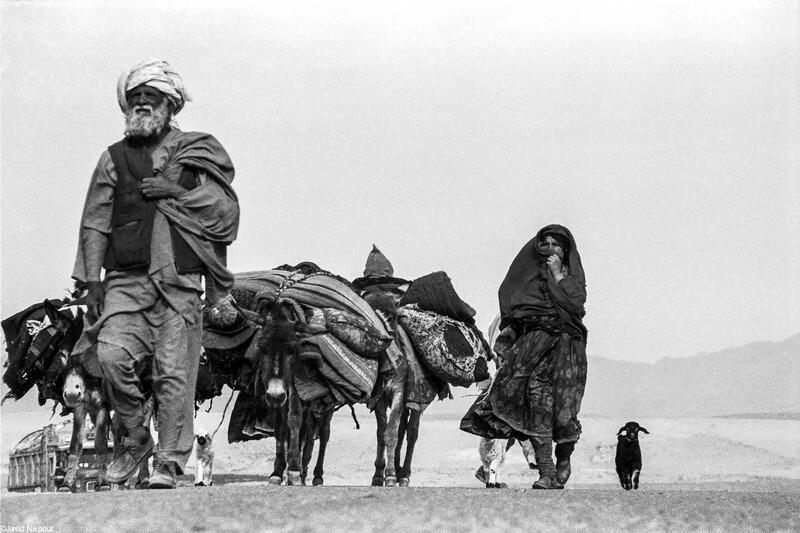 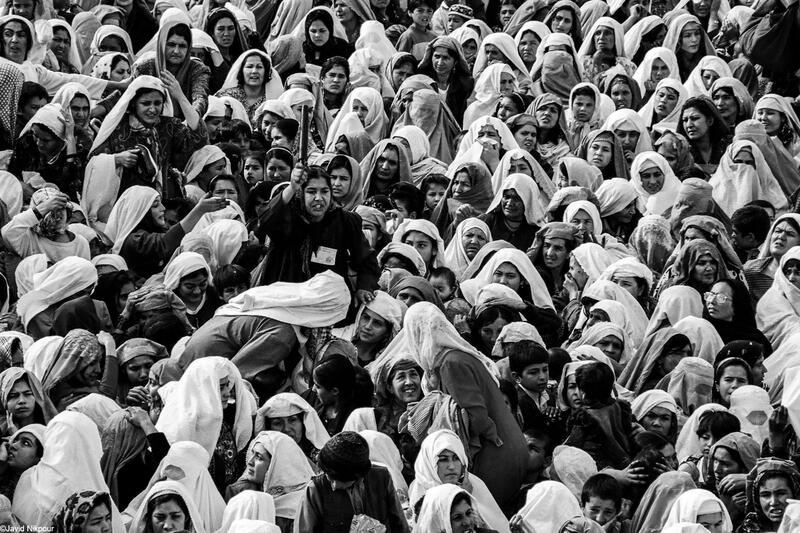 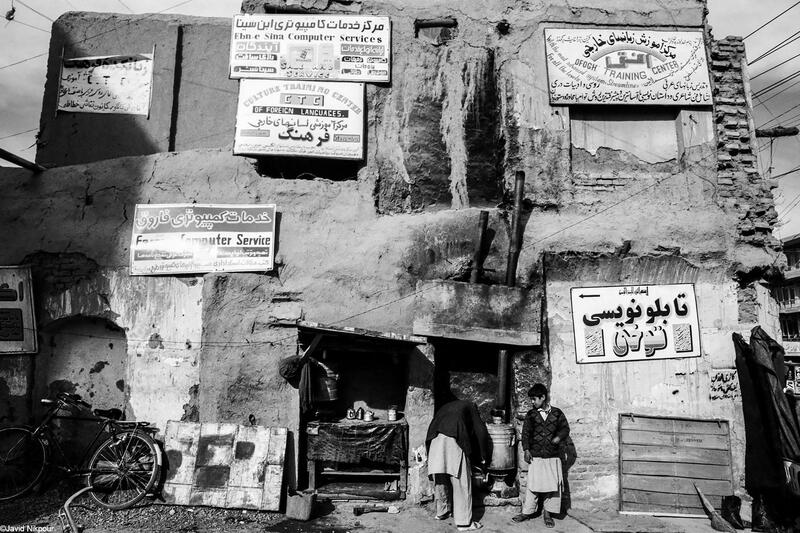 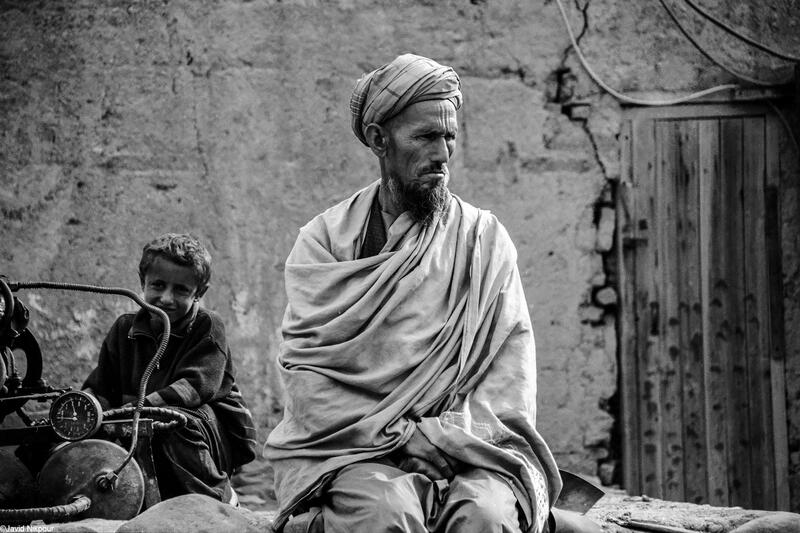 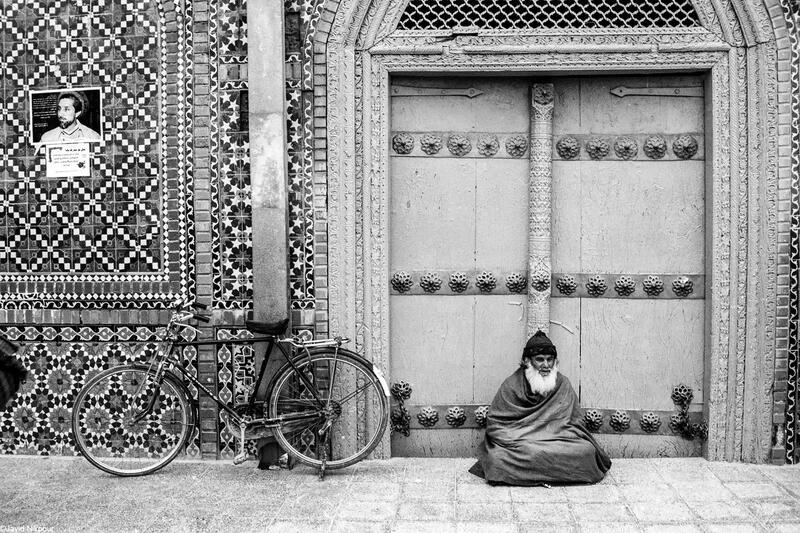 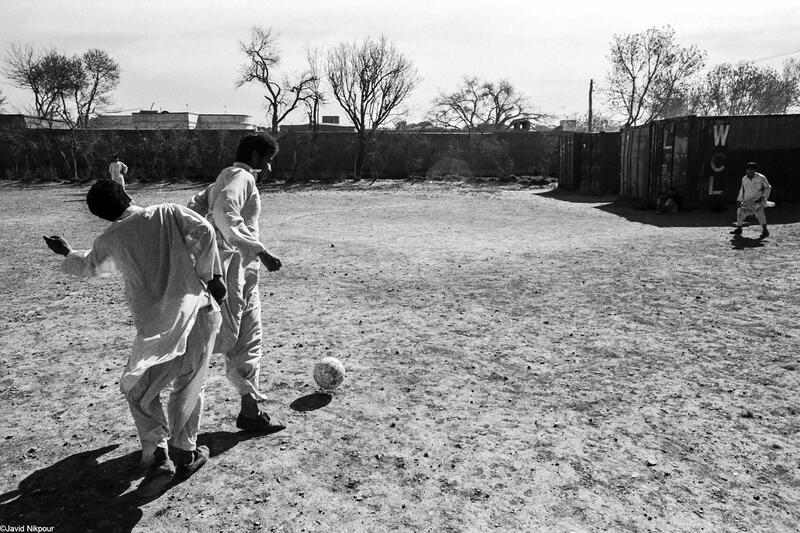 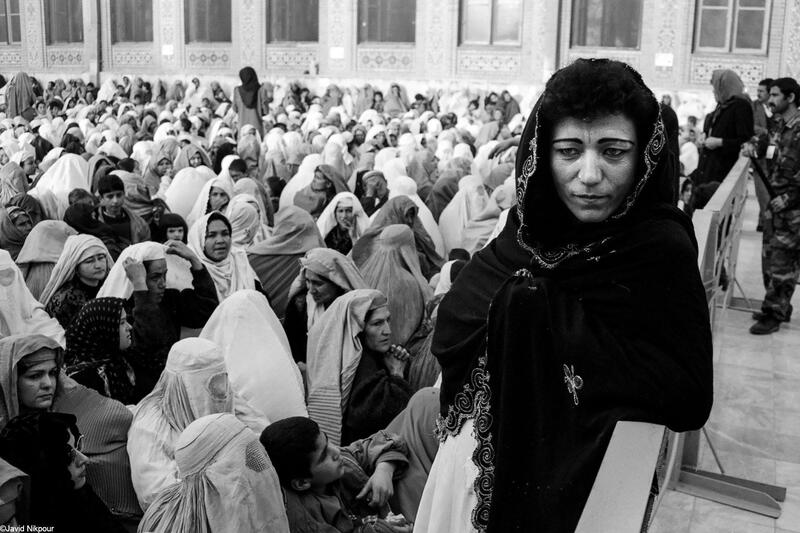 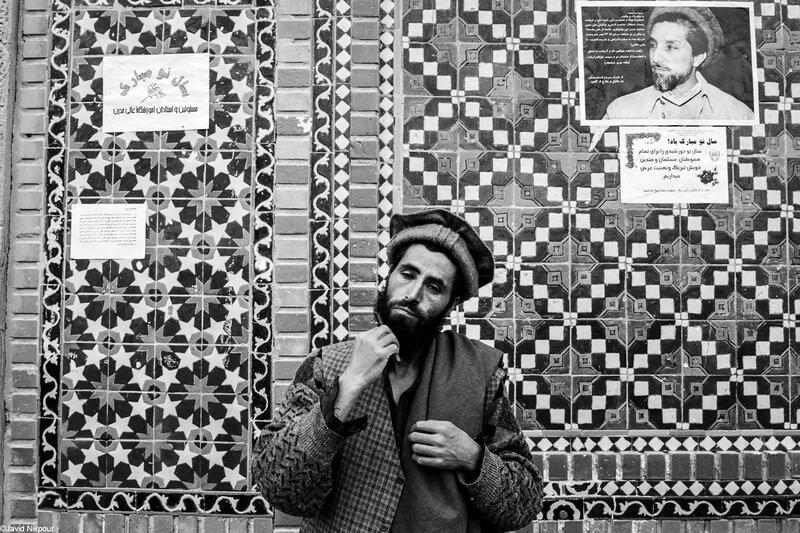 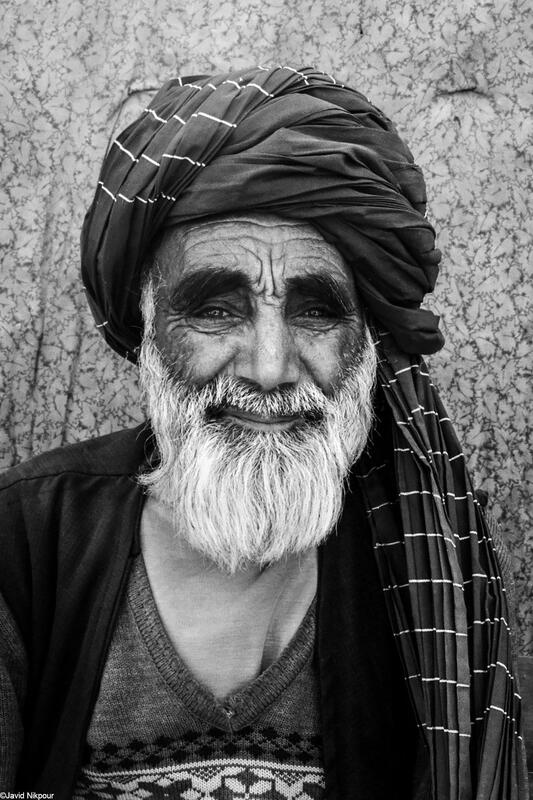 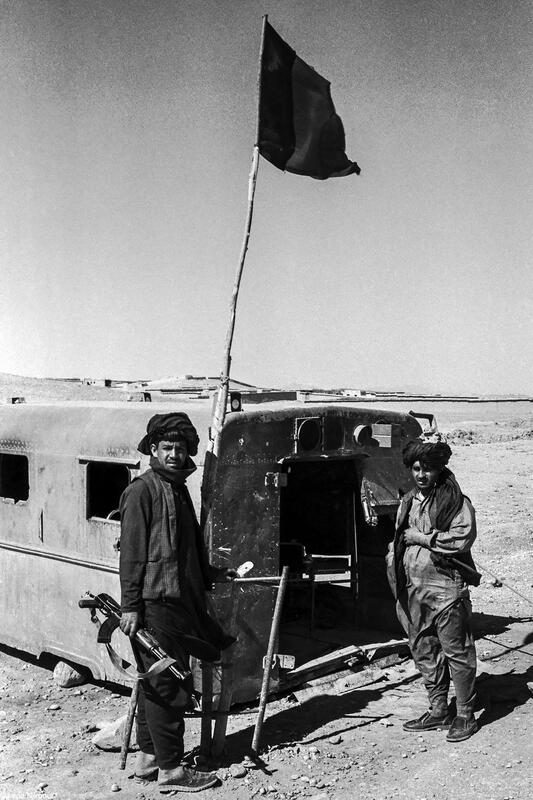 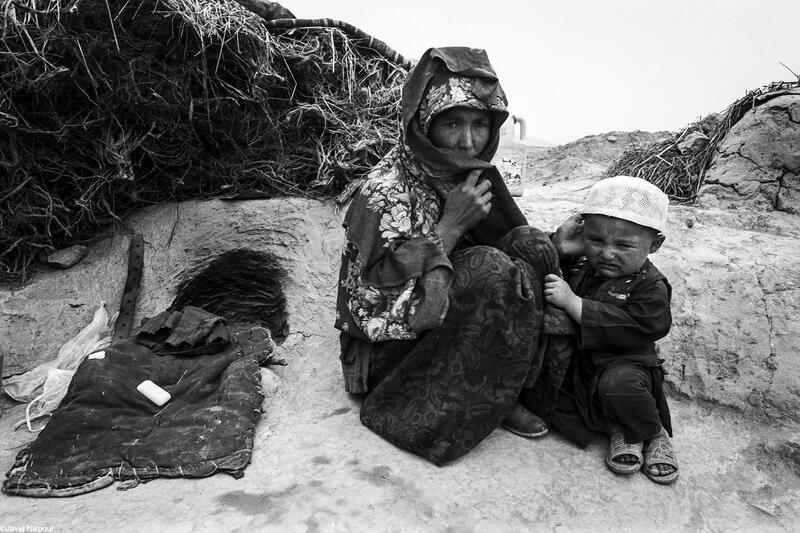 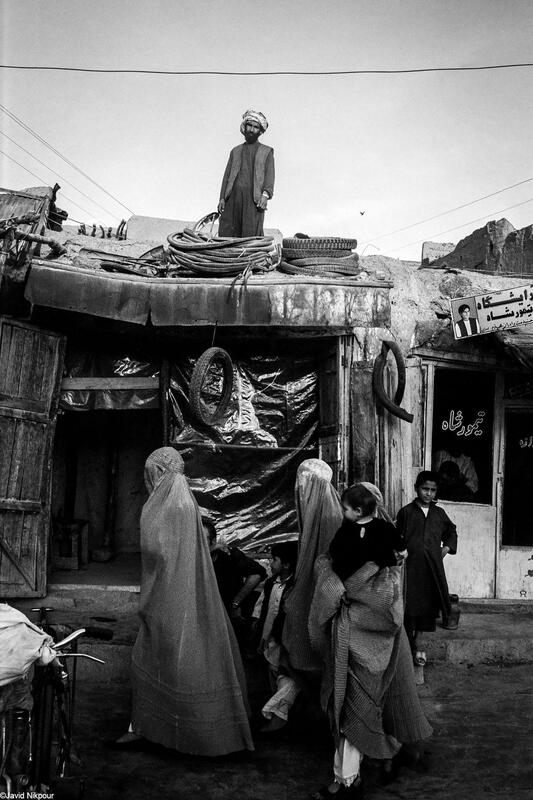 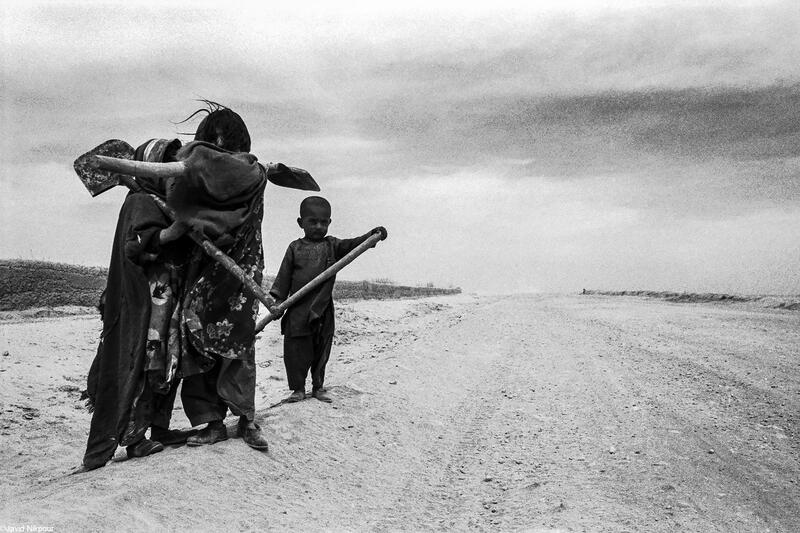 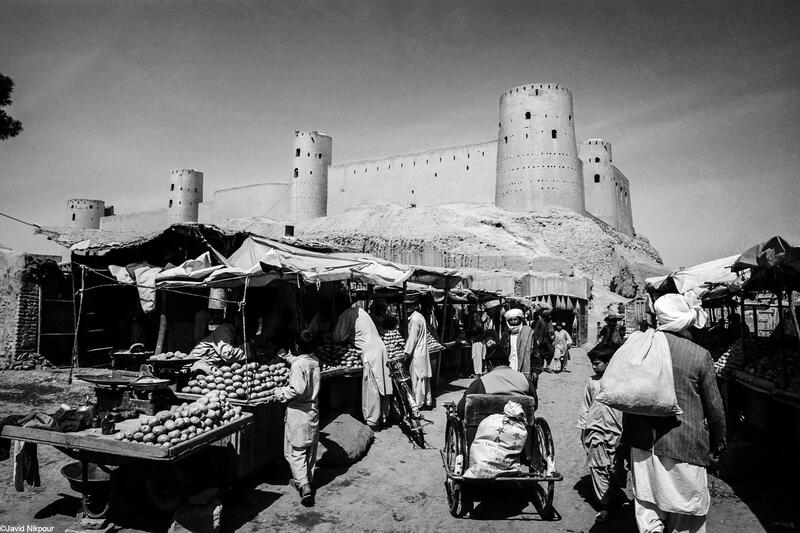 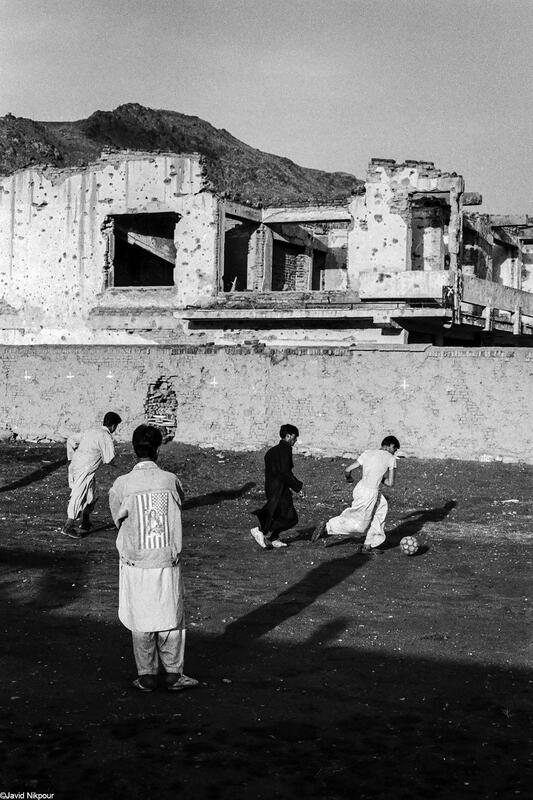 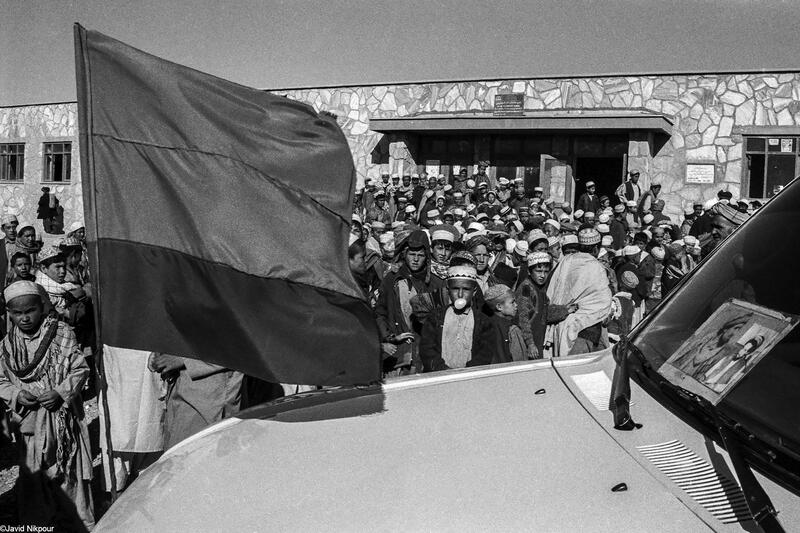 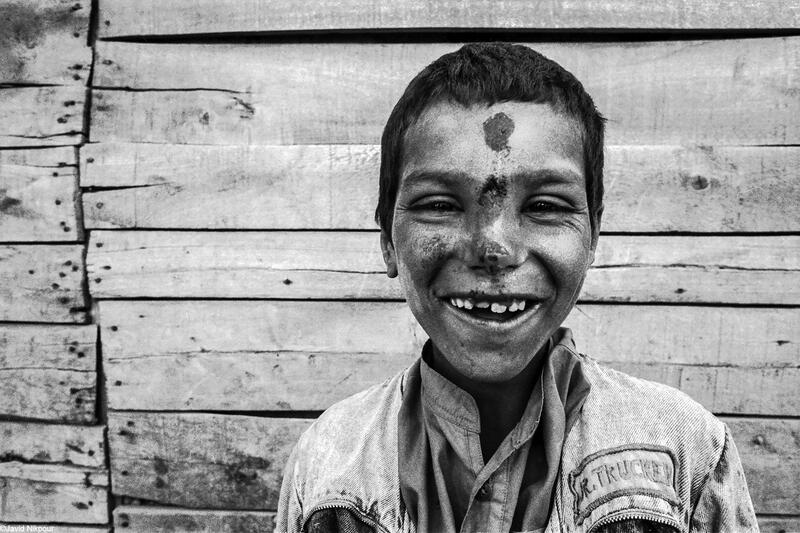 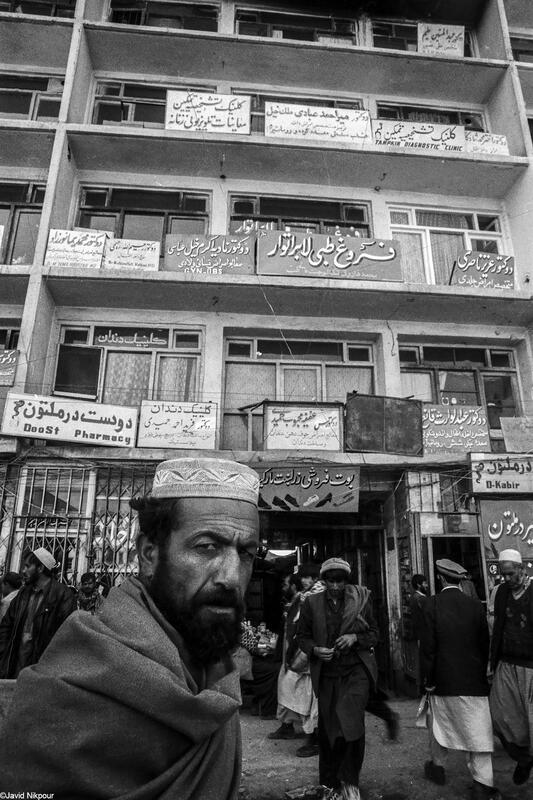 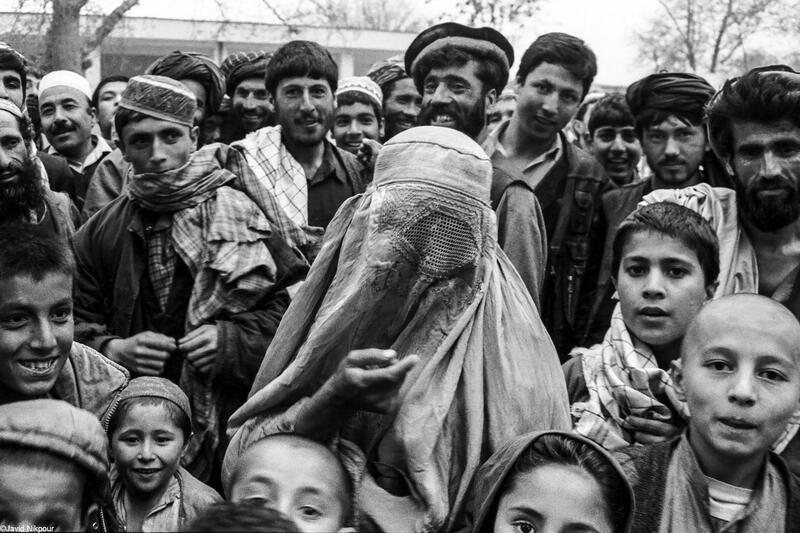 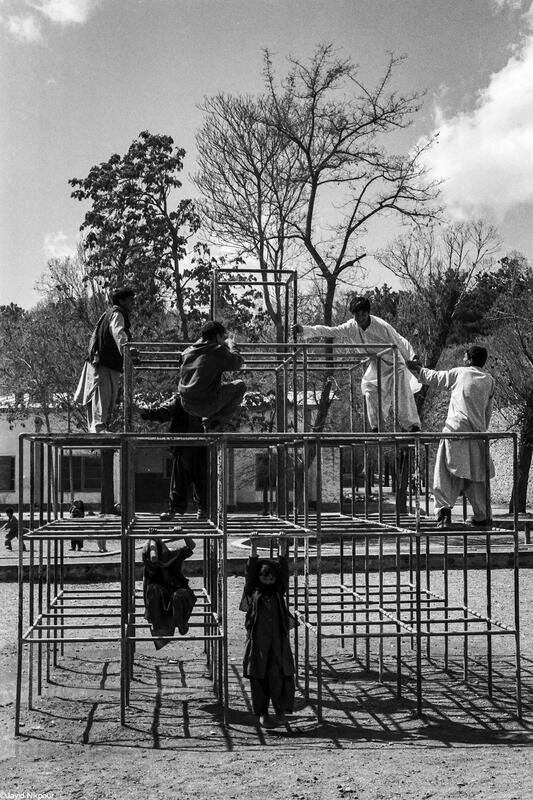 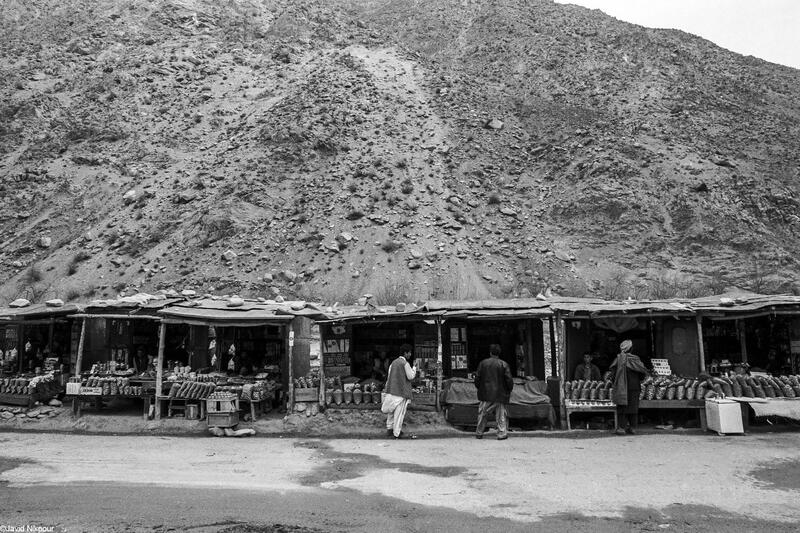 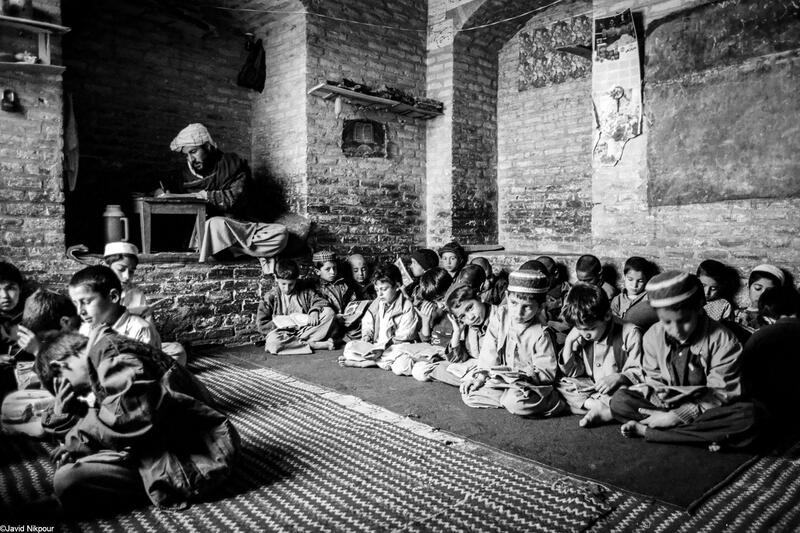 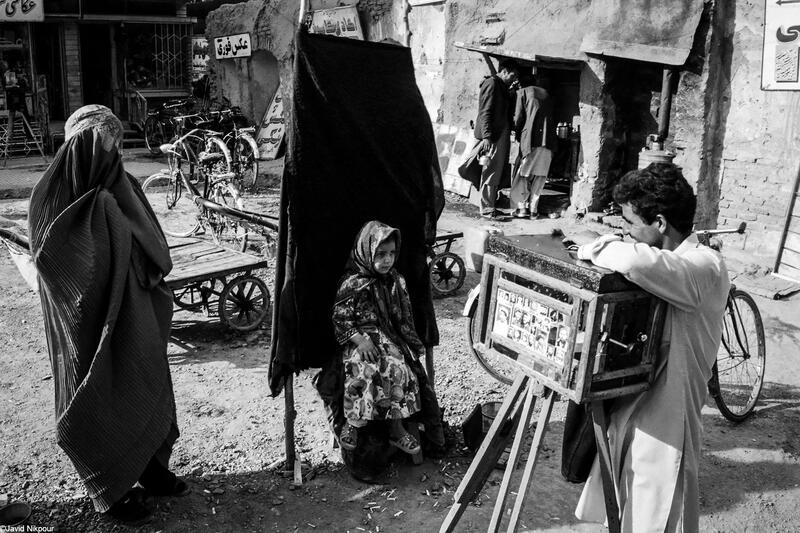 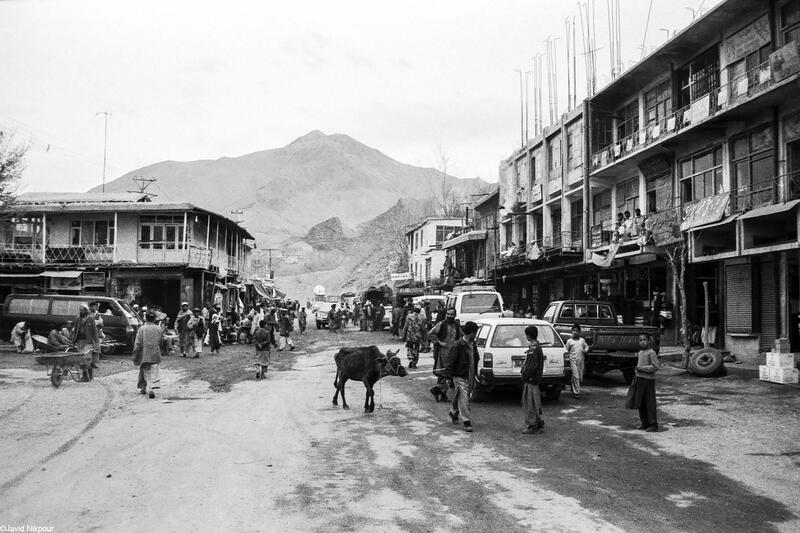 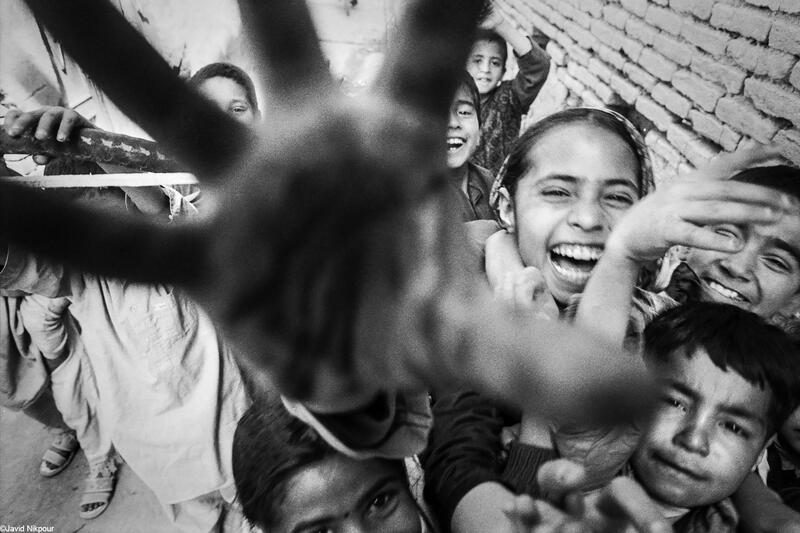 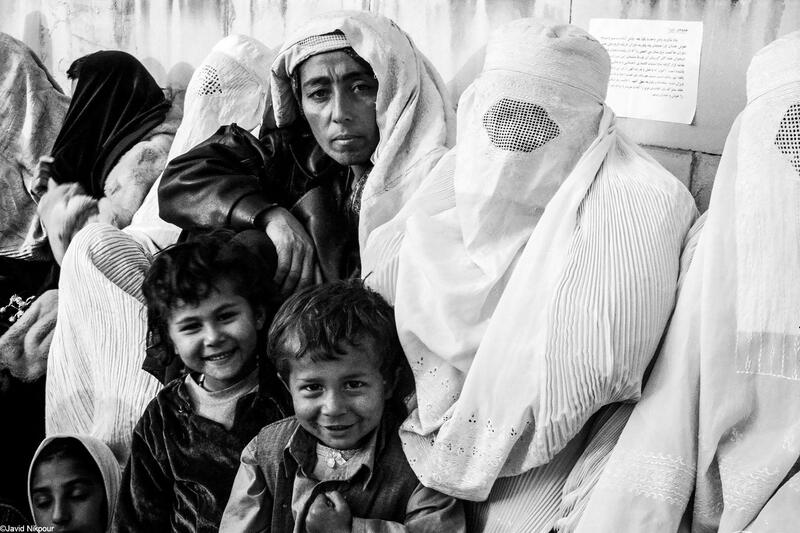 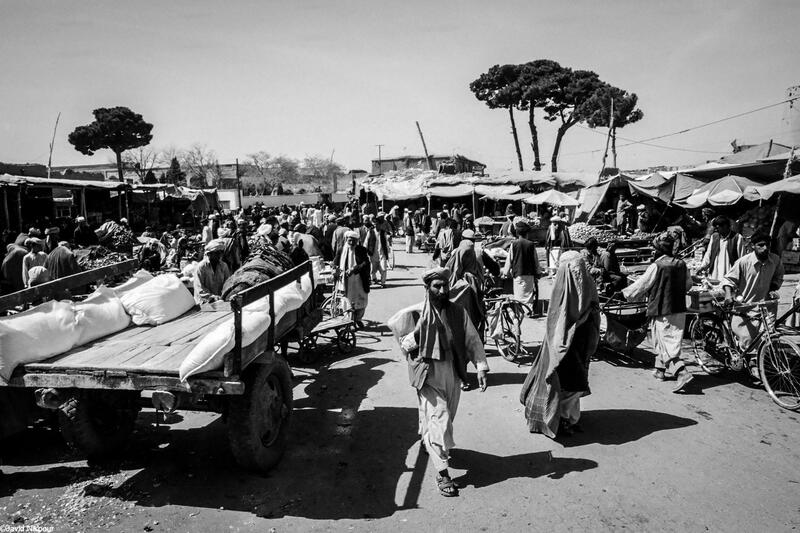 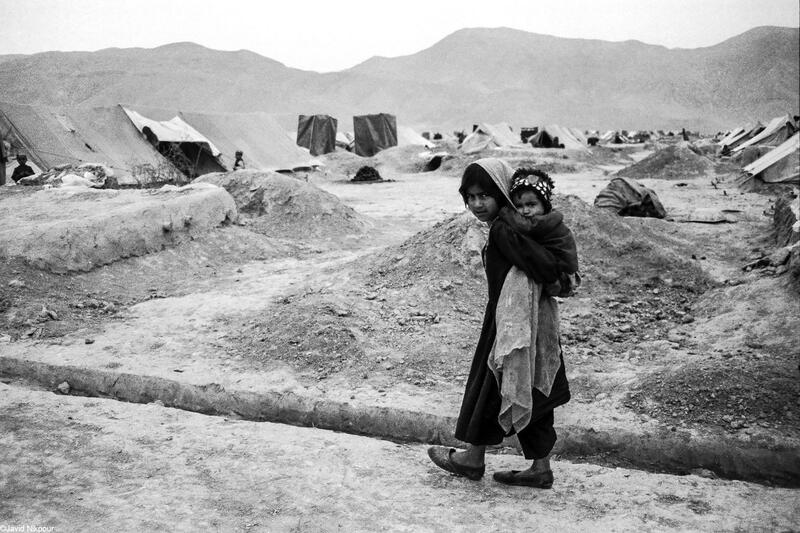 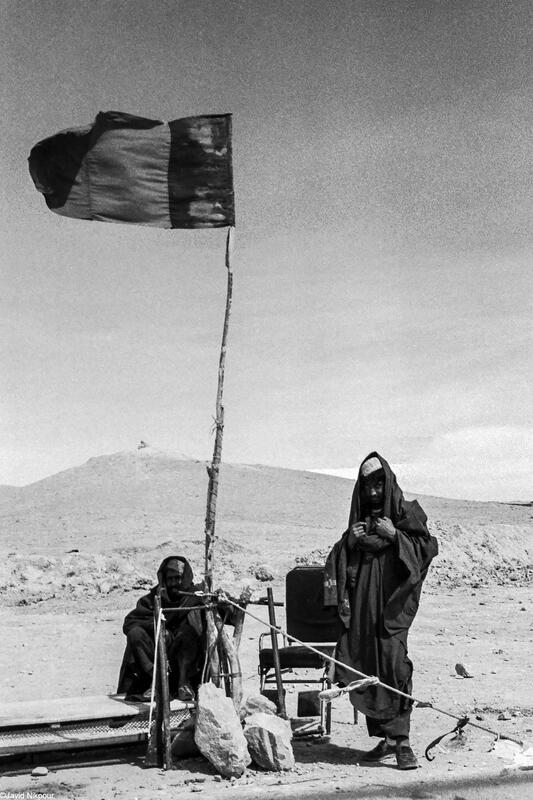 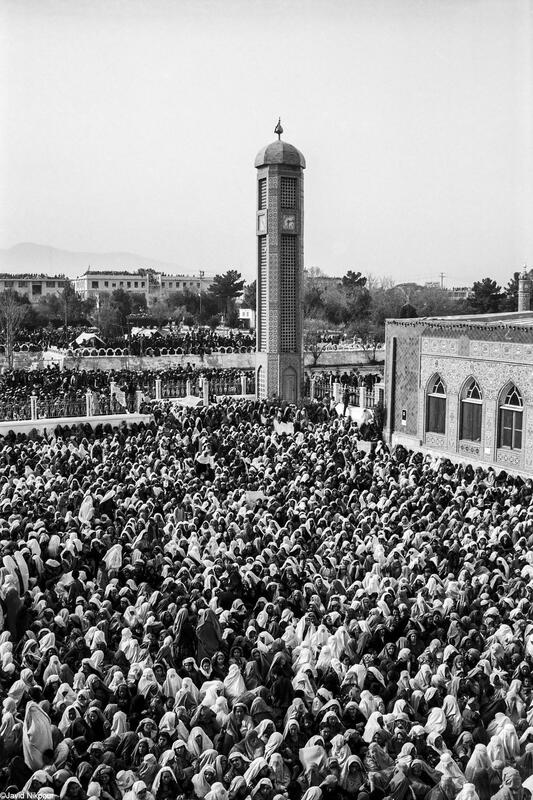 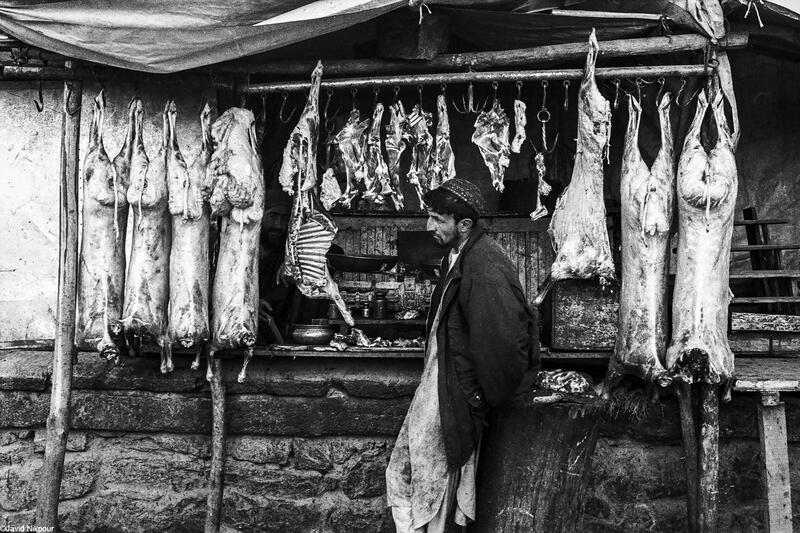 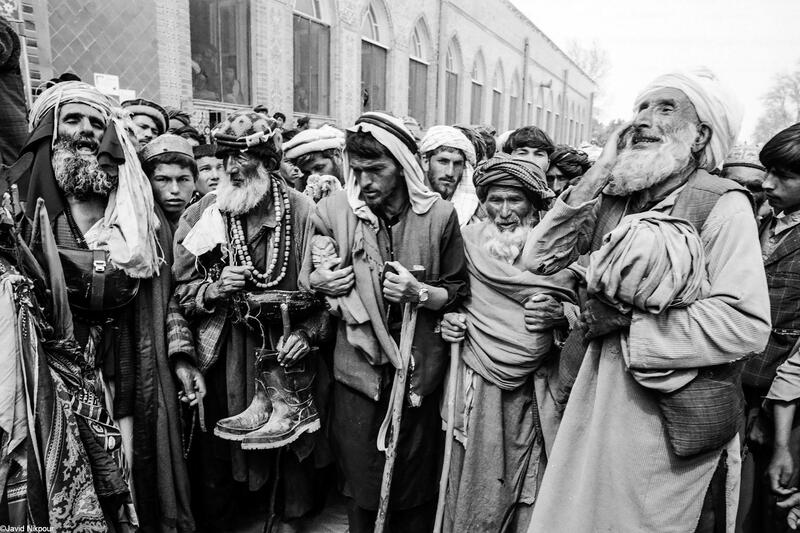 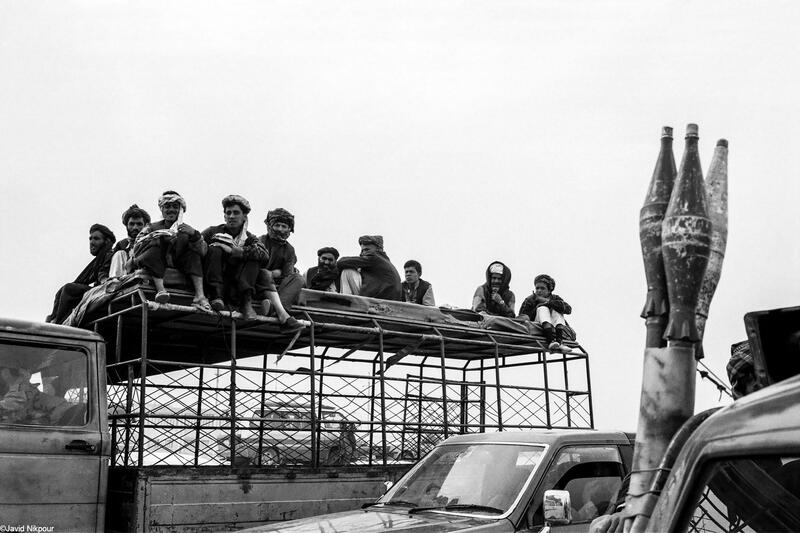 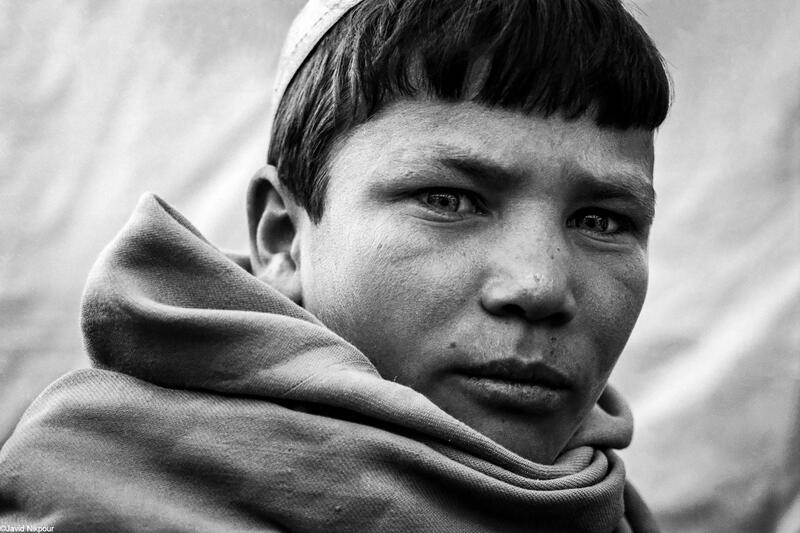 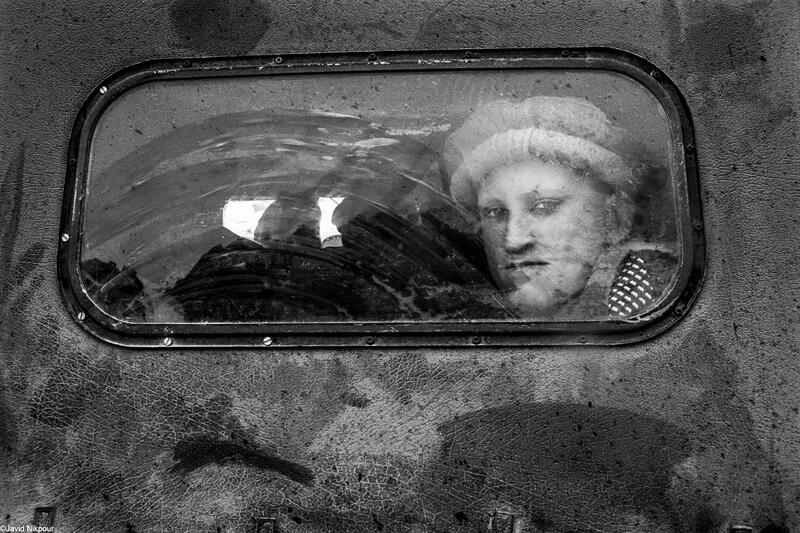 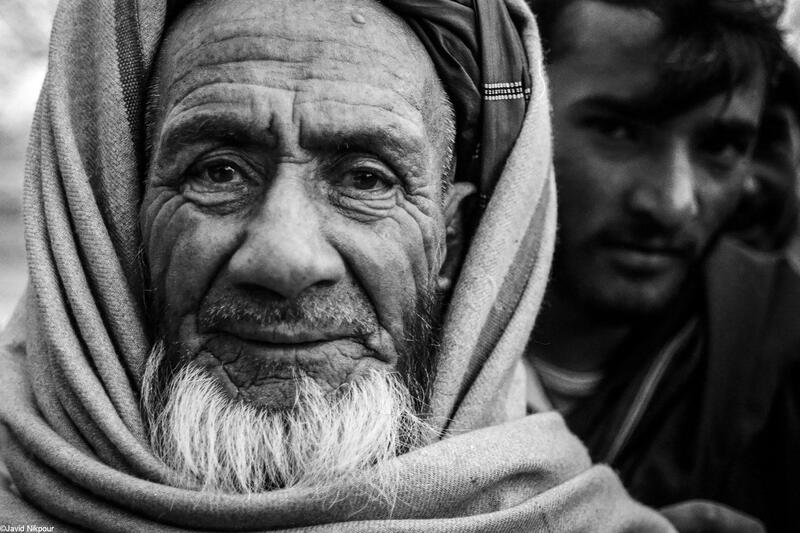 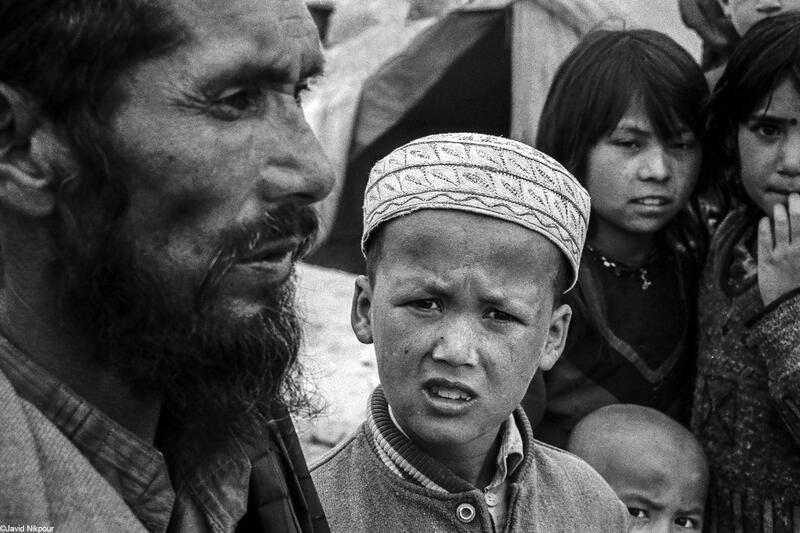 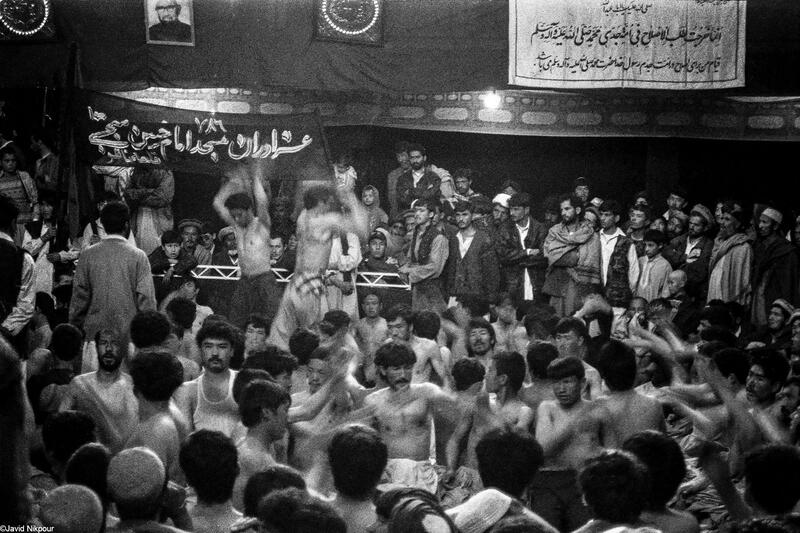 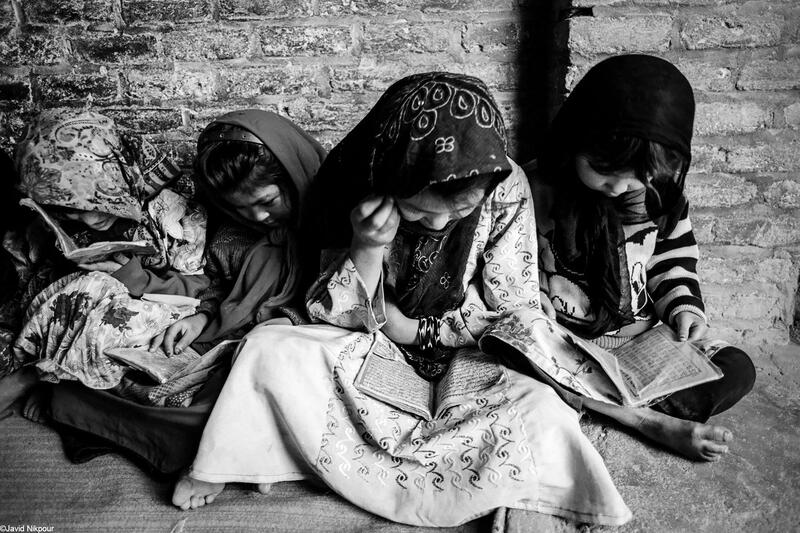 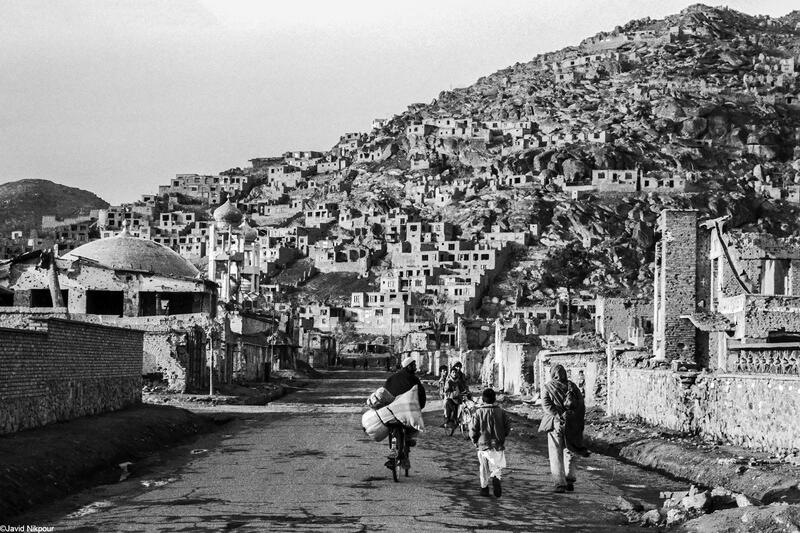 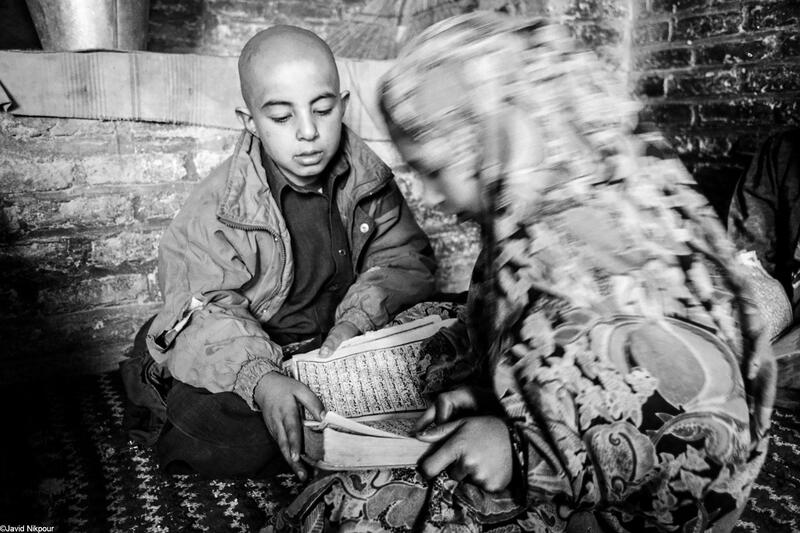 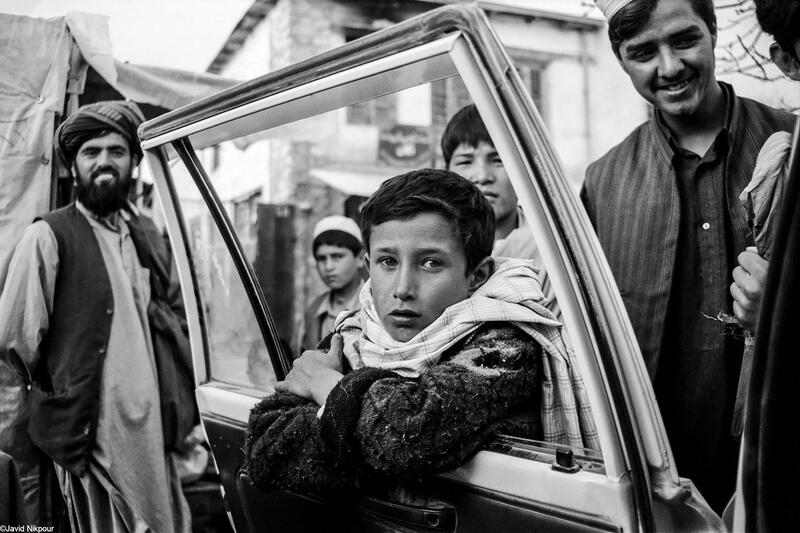 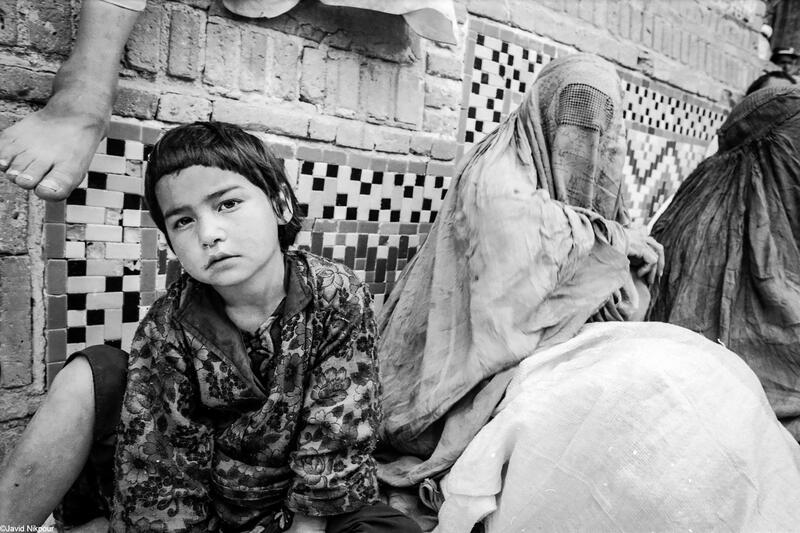 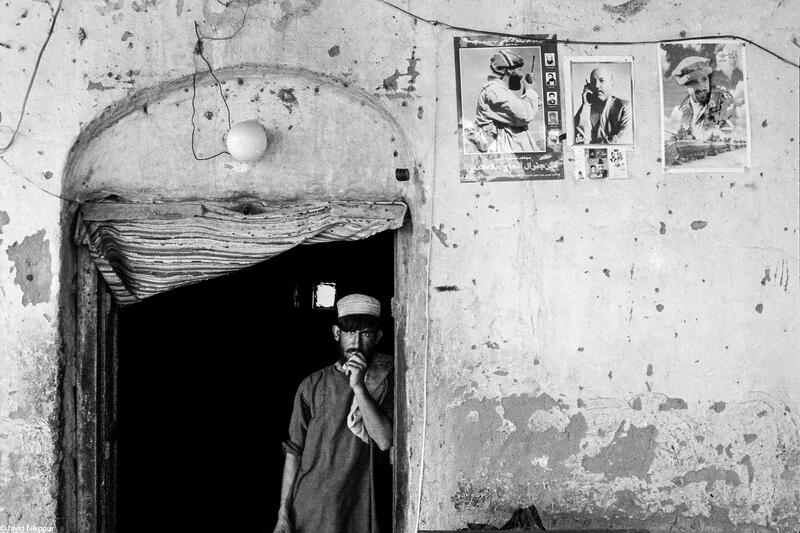 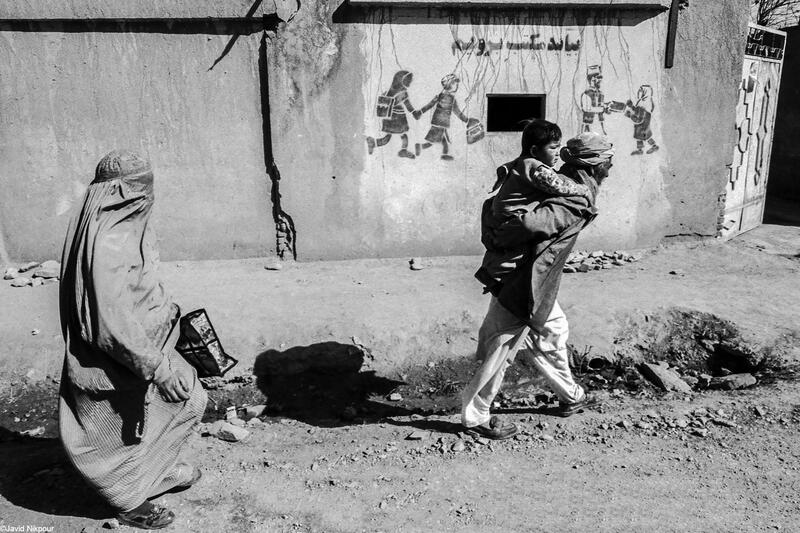 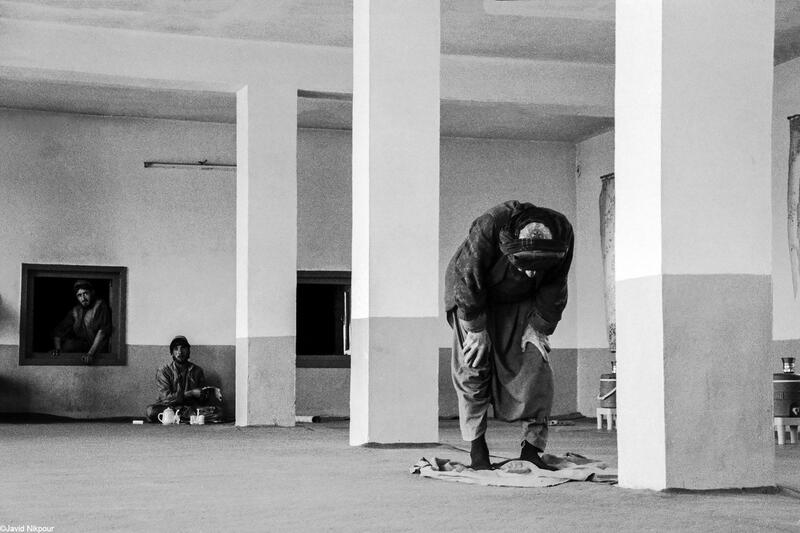 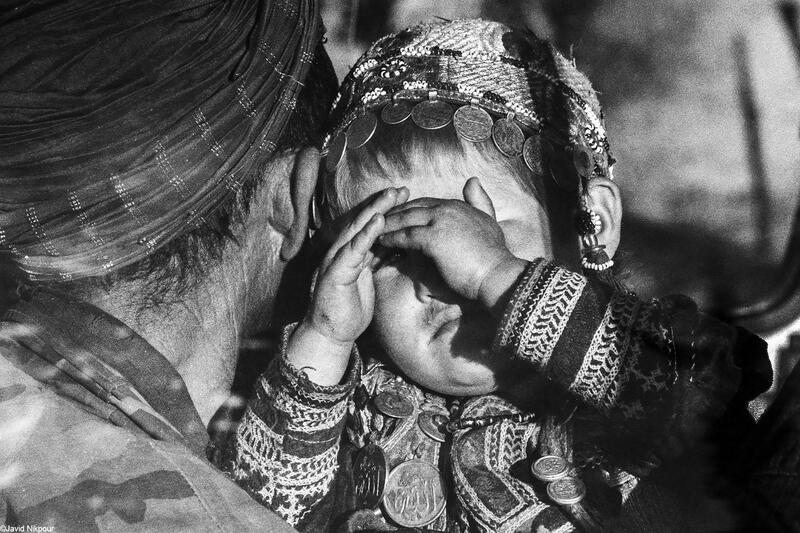 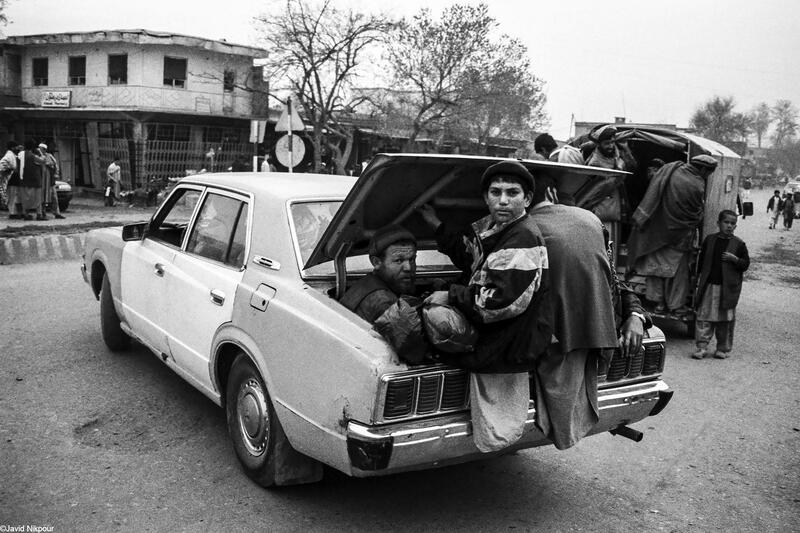 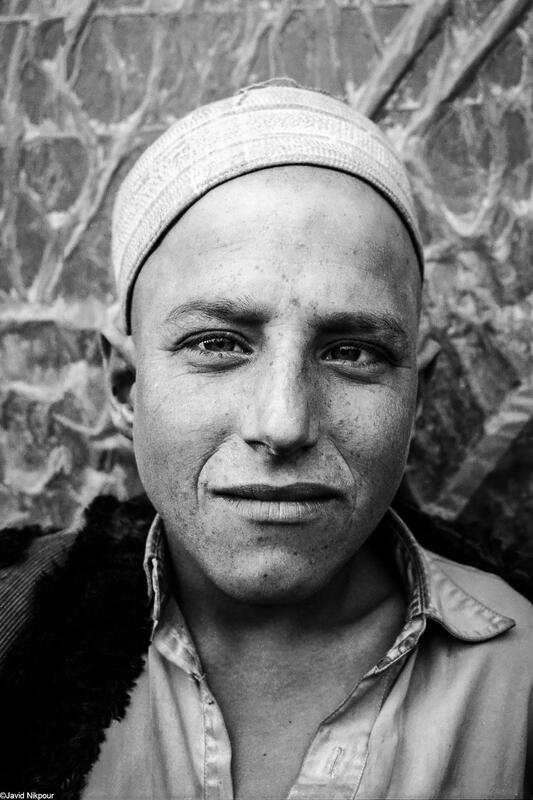 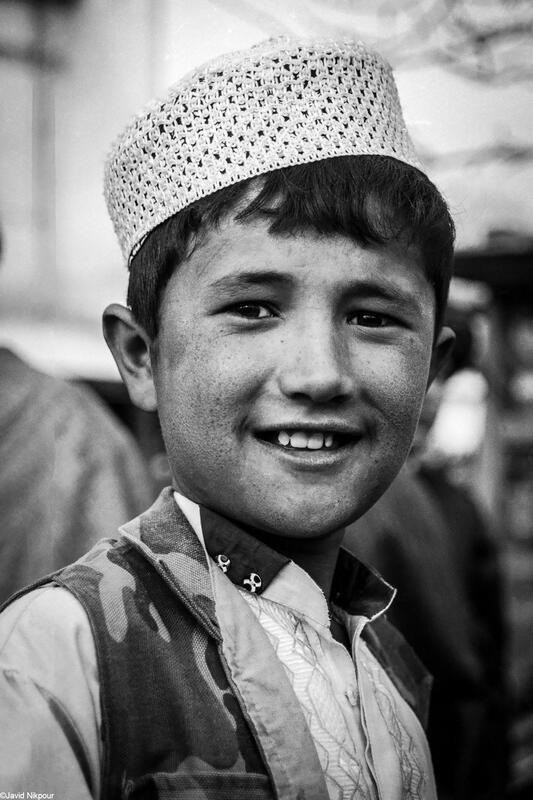 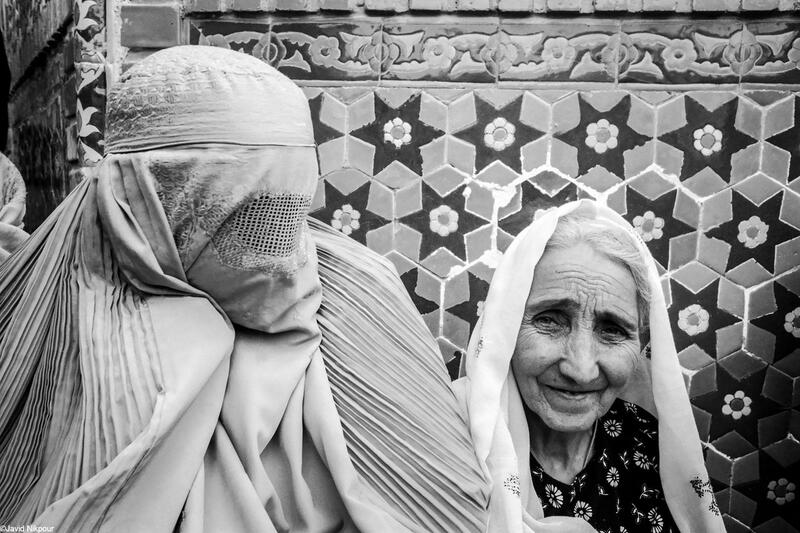 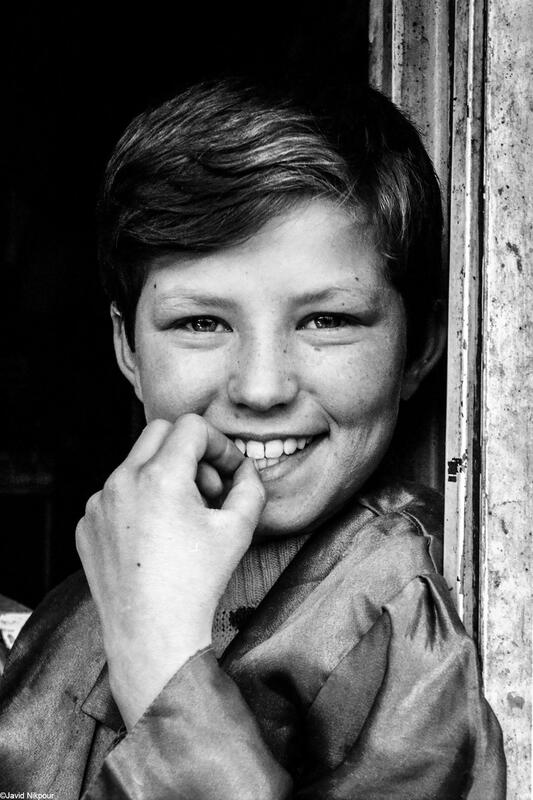 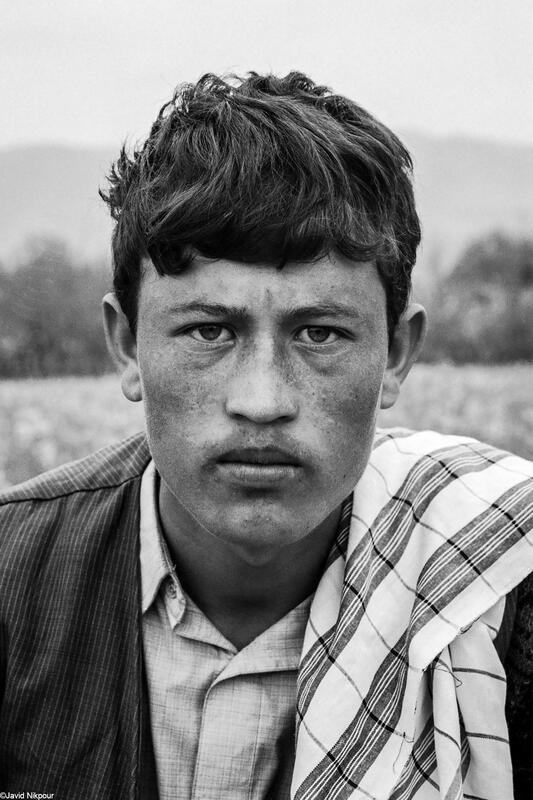 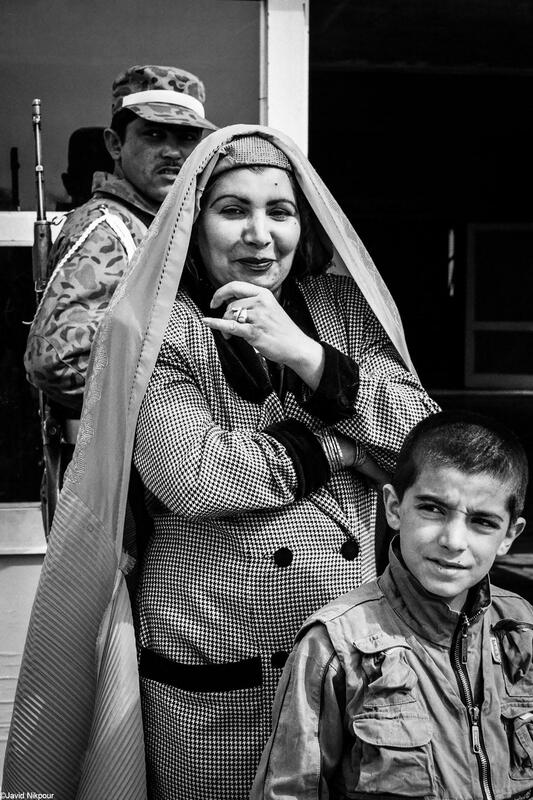 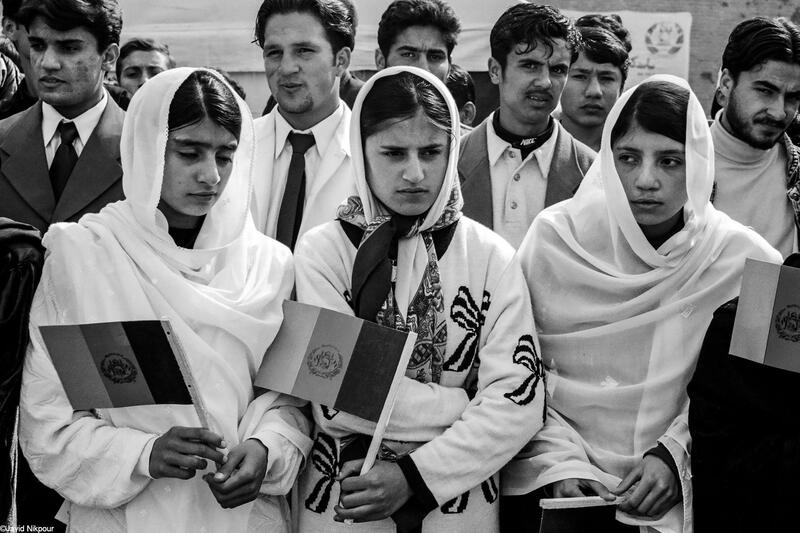 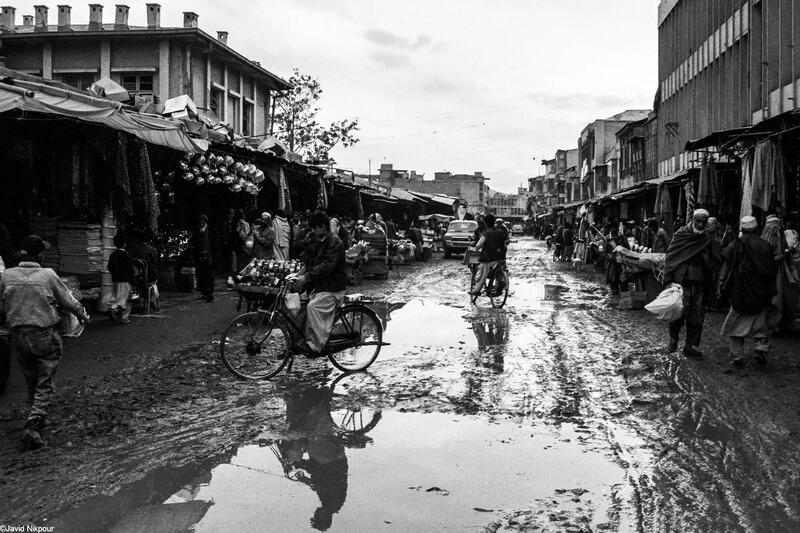 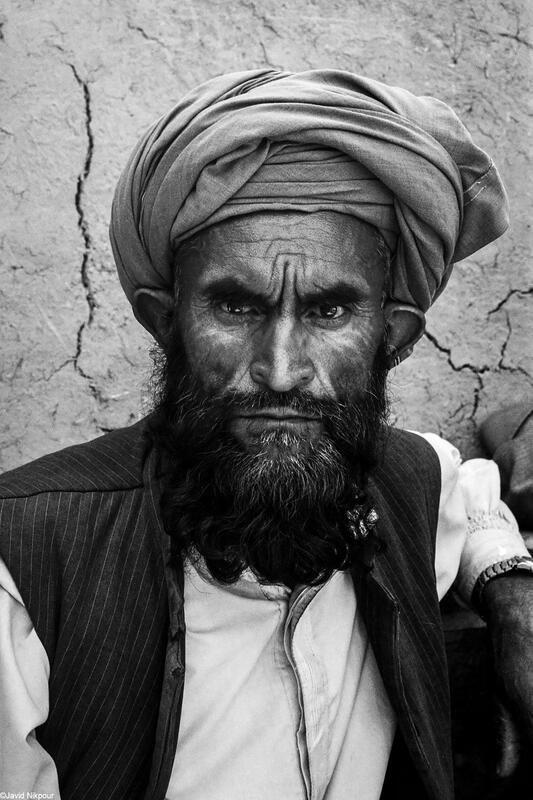 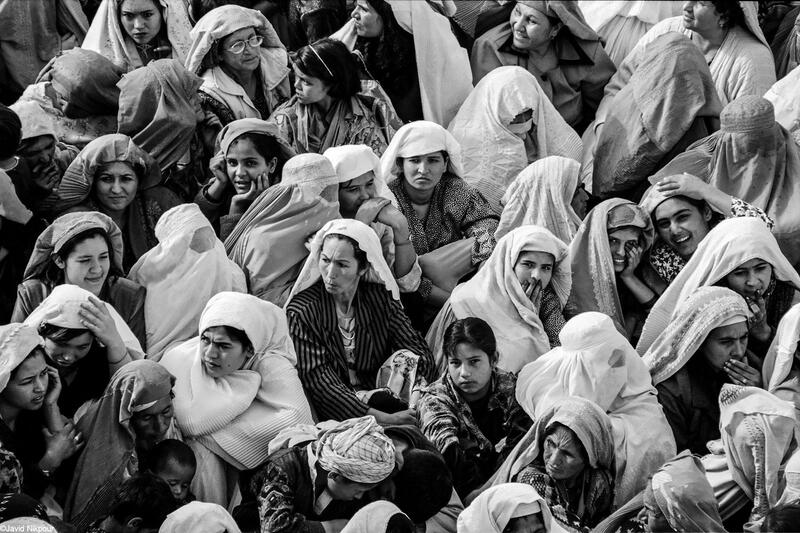 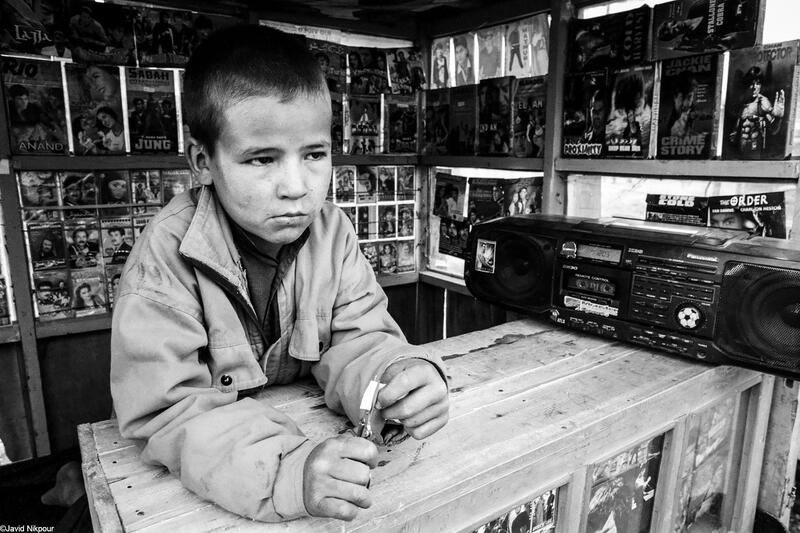 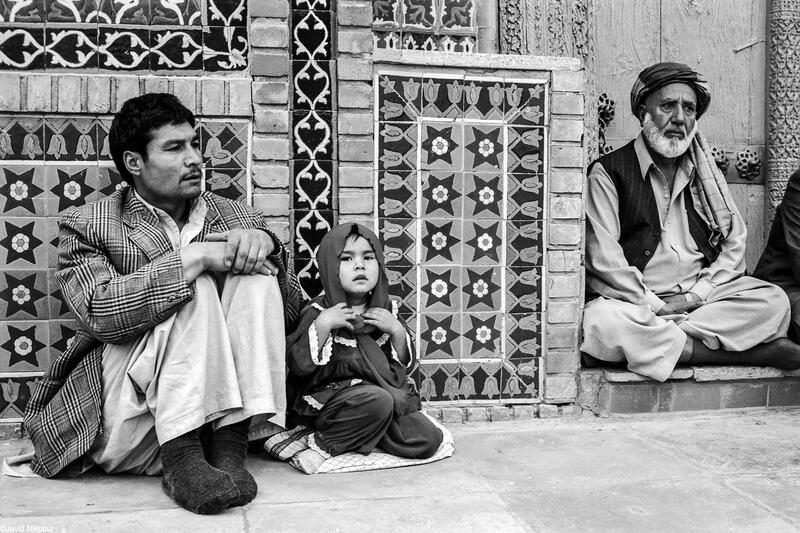 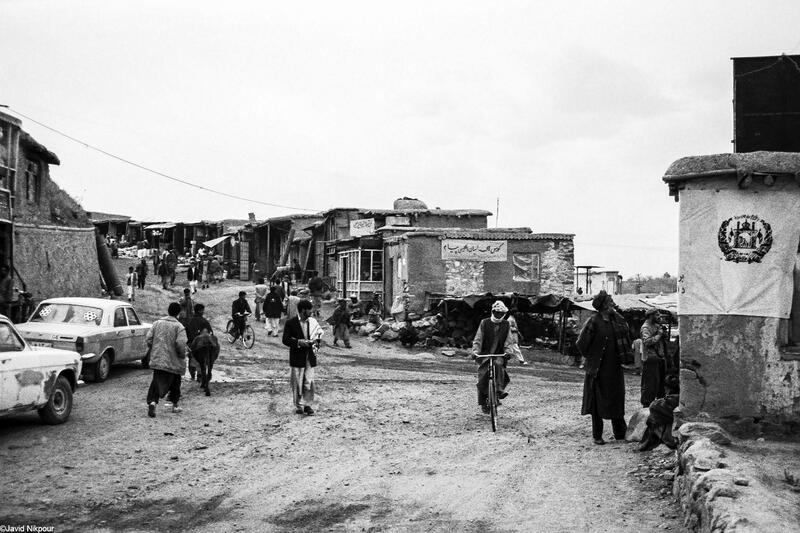 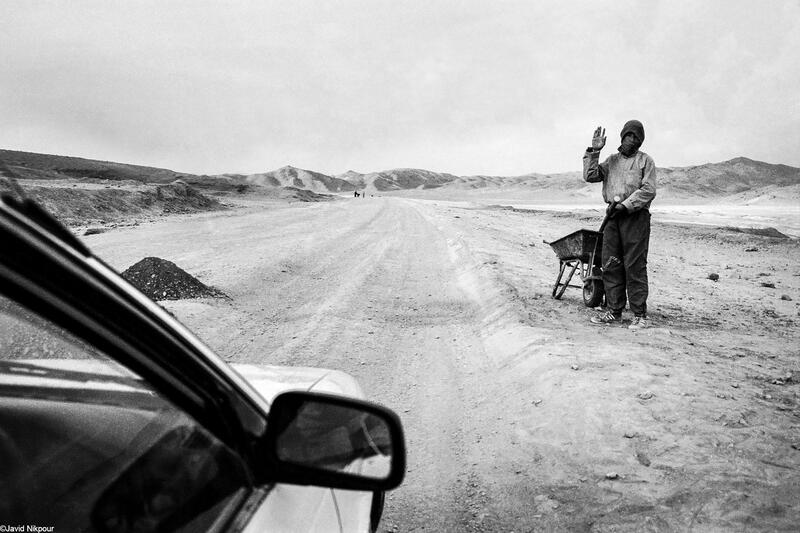 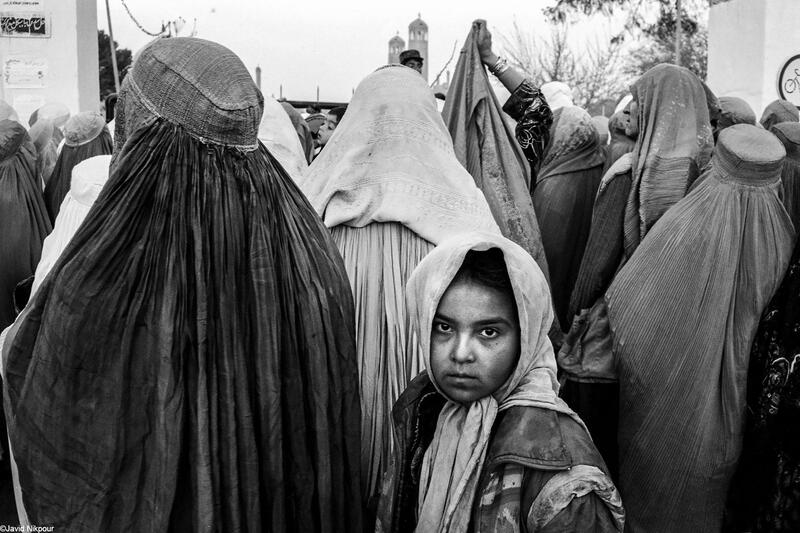 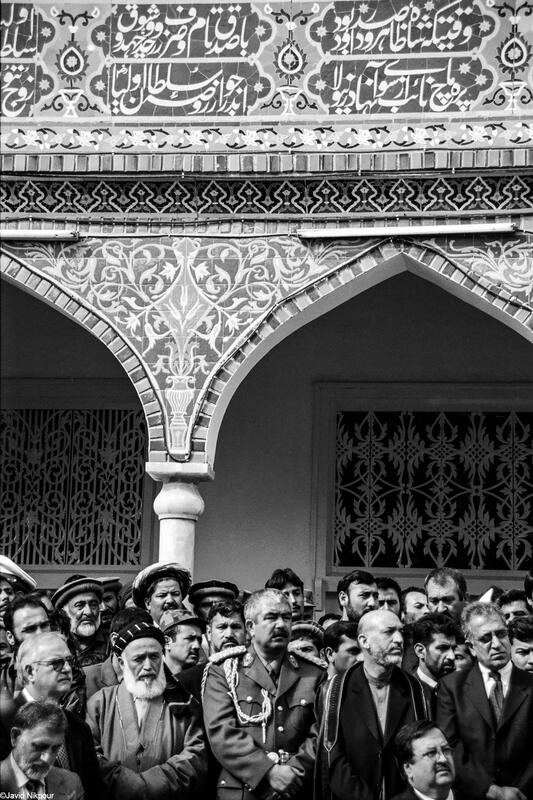 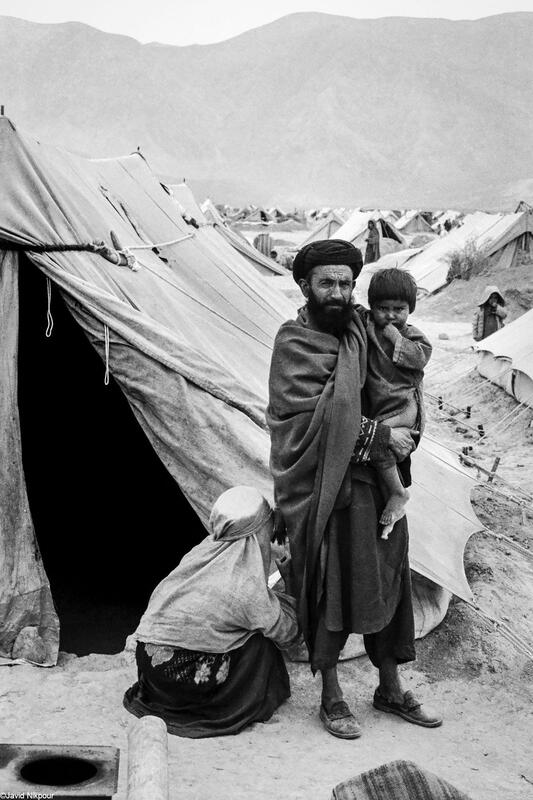 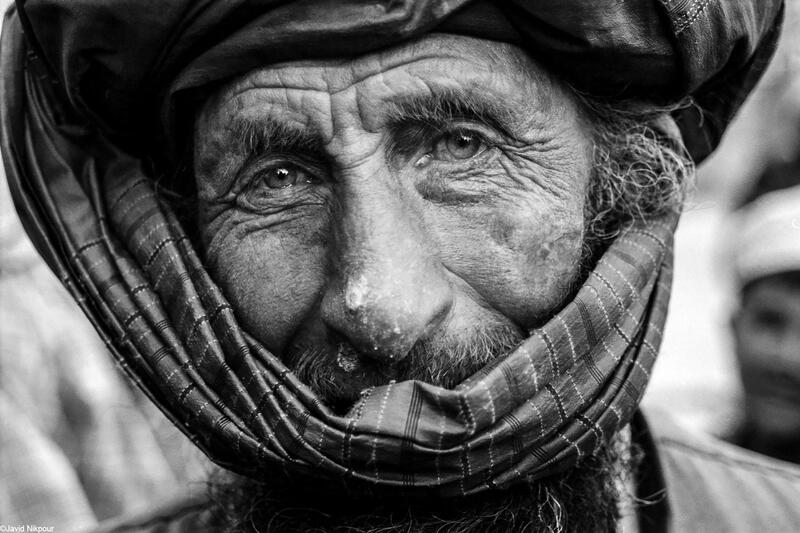 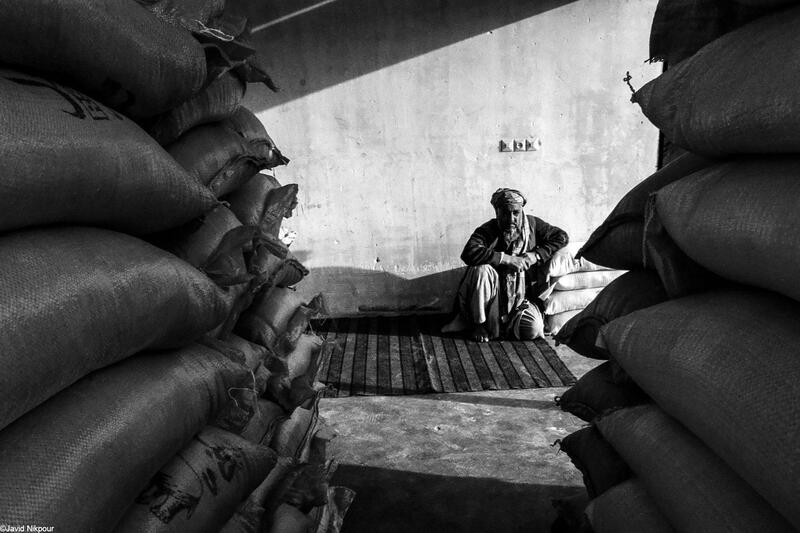 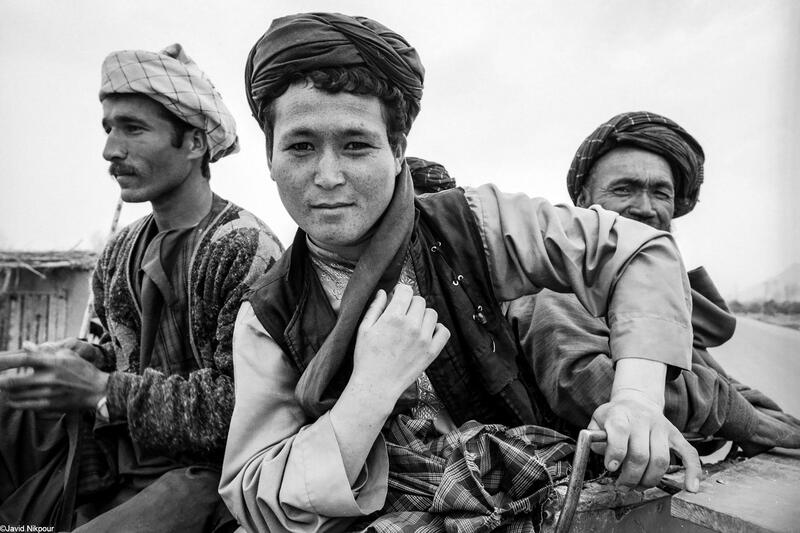 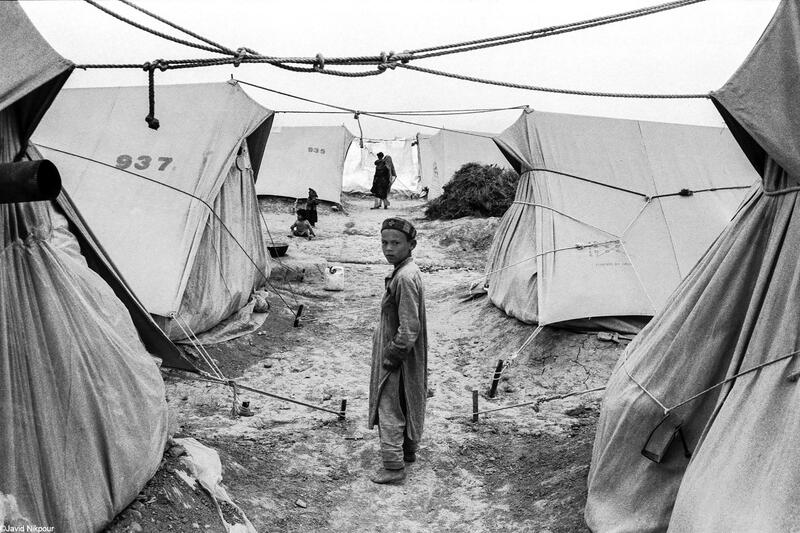 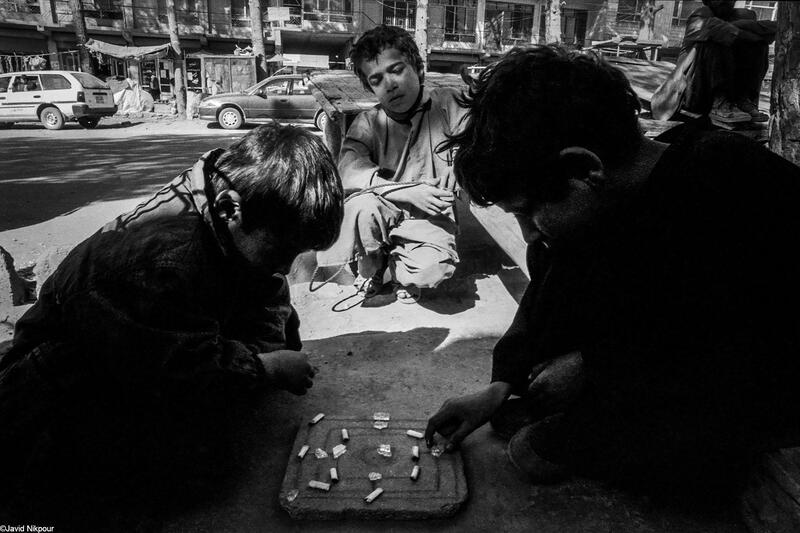 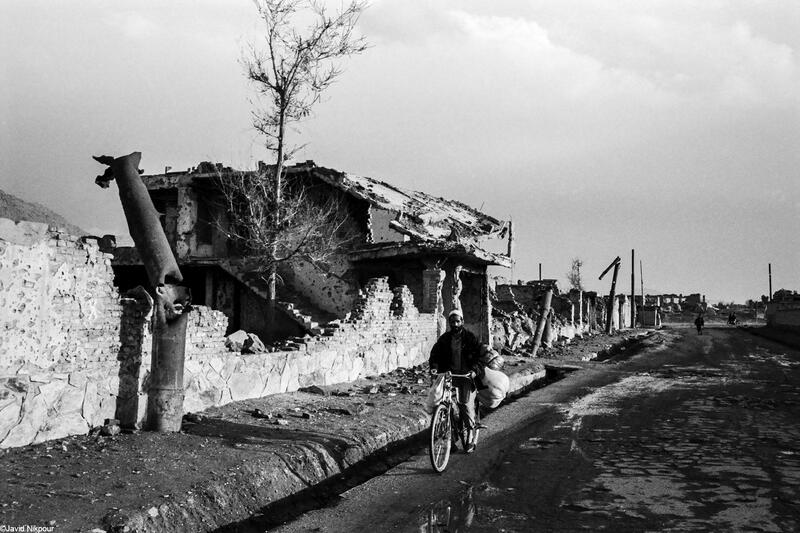 However, we had the intention to photograph the daily lives of Afghans, which was rarely considered. 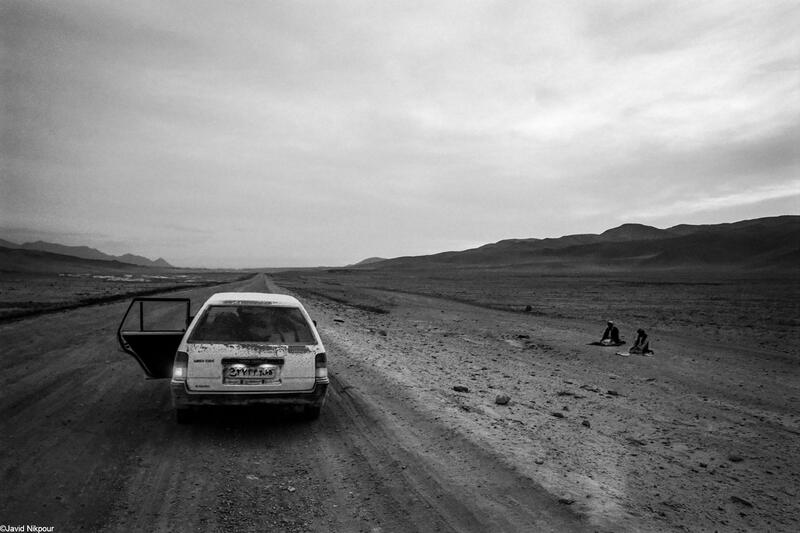 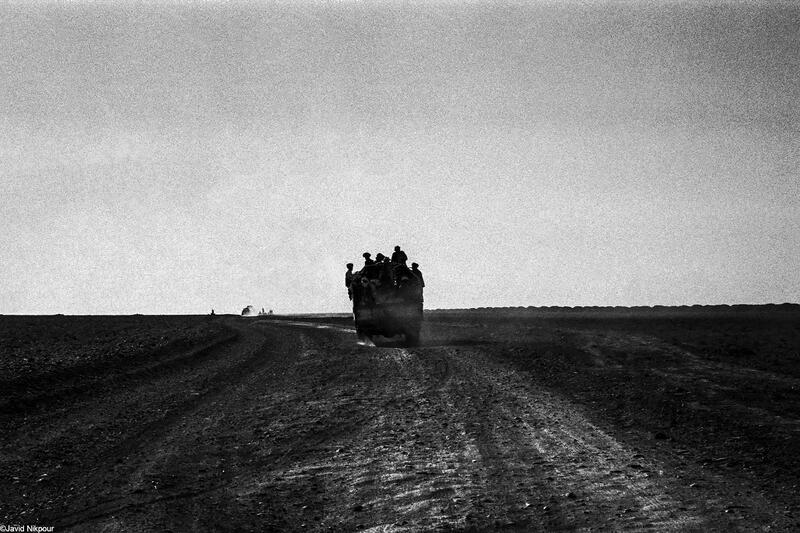 The insecurity caused by Taliban in the region limited air transport in Afghanistan during out ten-day trip, and therefore, we had to take the dirt roads to travel from Harat to Kandahar, Kabul and Mazar-e-Sharif (2715 km). 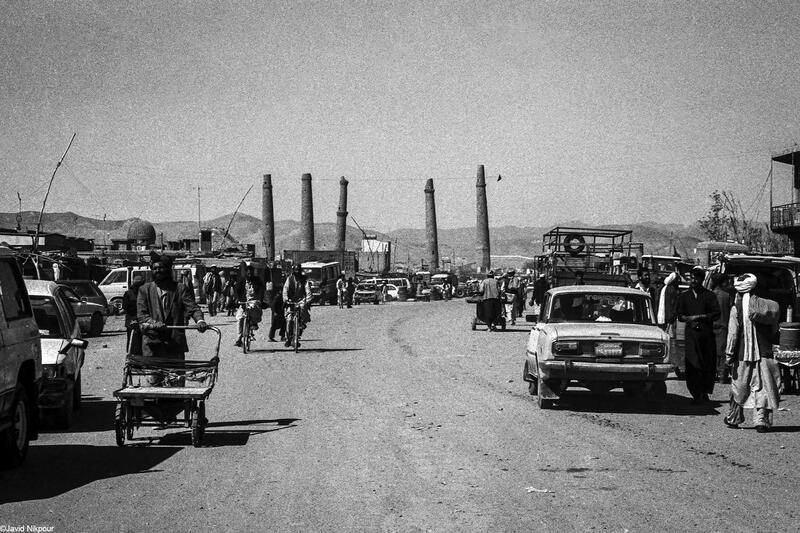 Because of the dirt and ruggedness of the roads between cities, it took us twice longer than regular 7-8 hours to get to our destination. 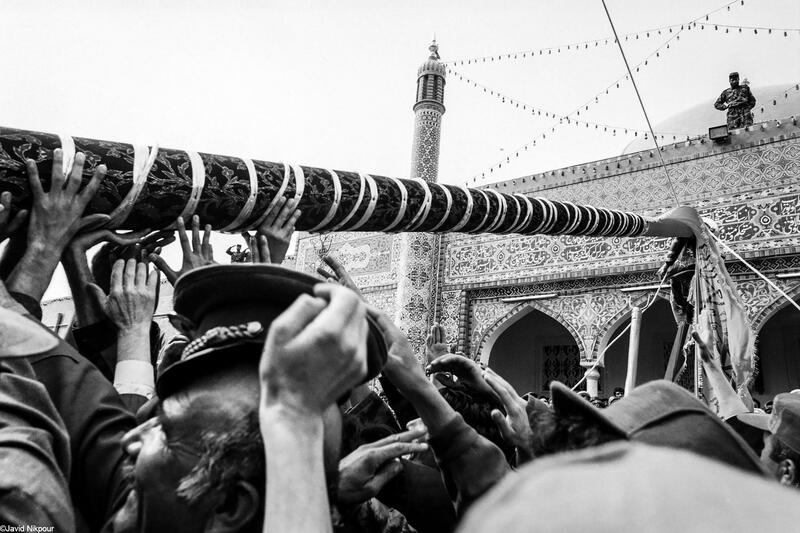 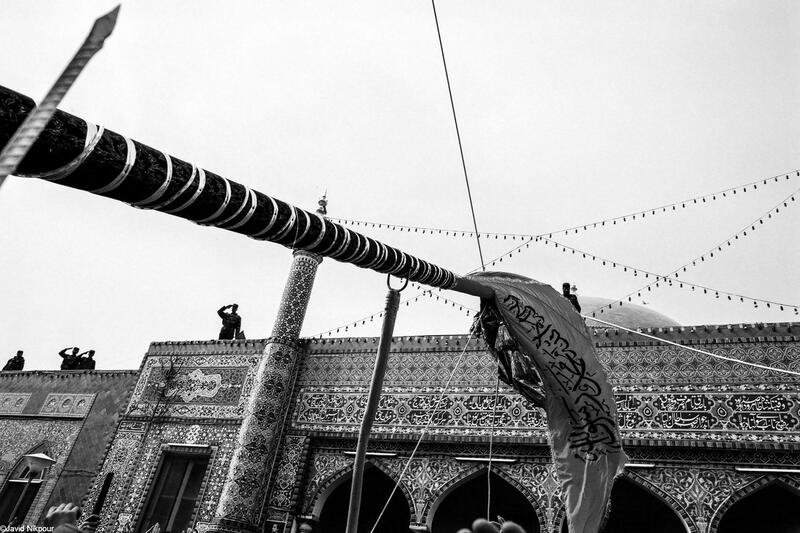 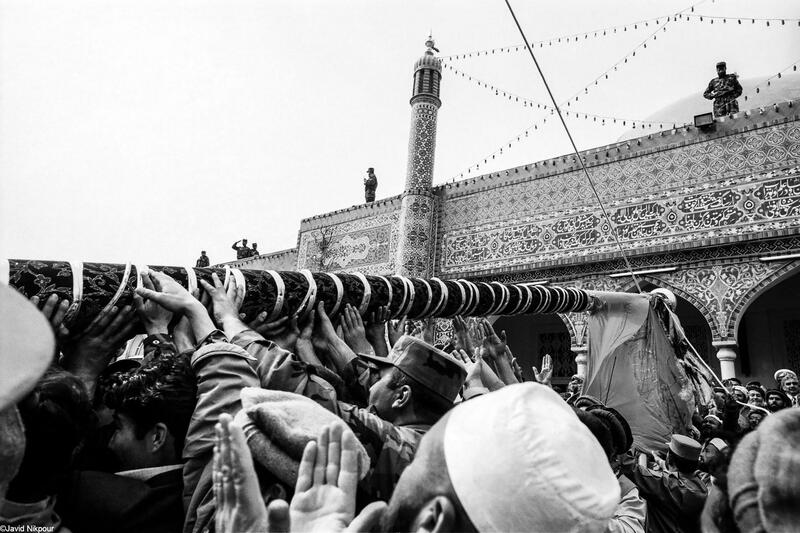 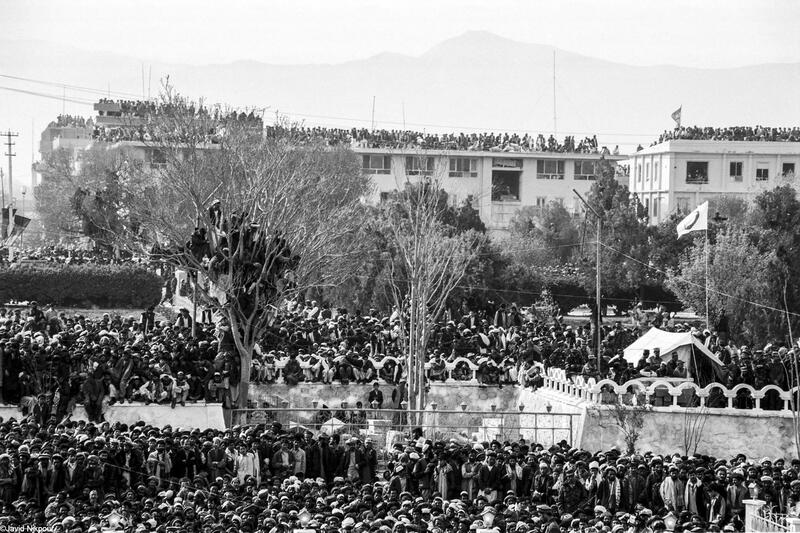 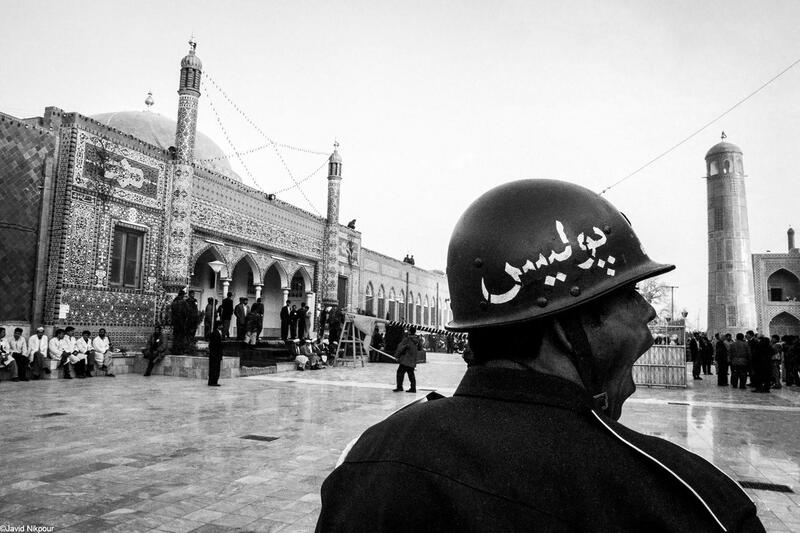 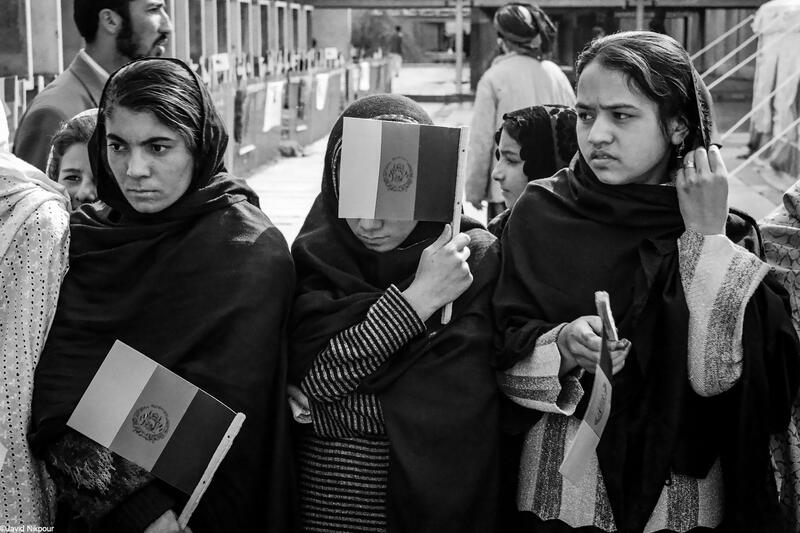 We photographed everything on the way until we reached the Nowruz Ceremony held in Mazar-e-Sharif, which had been banned by Taliban for four years. 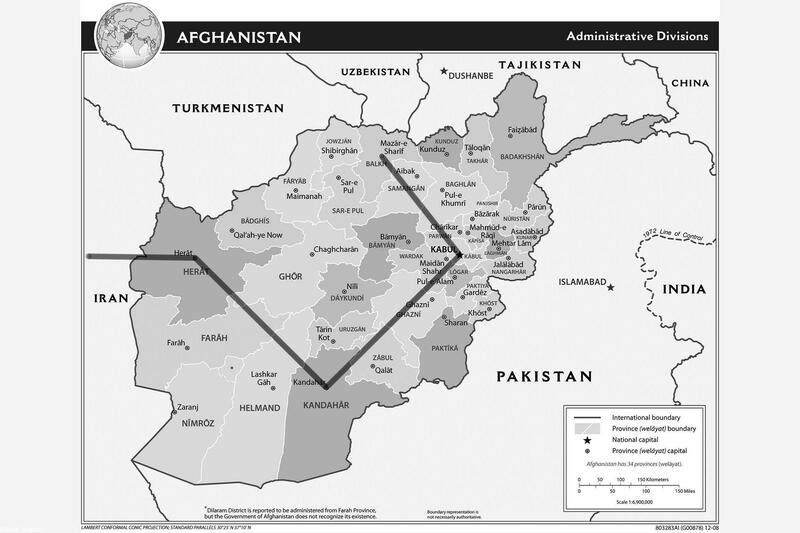 The map of route taken in ten-day trip to Afghanistan. 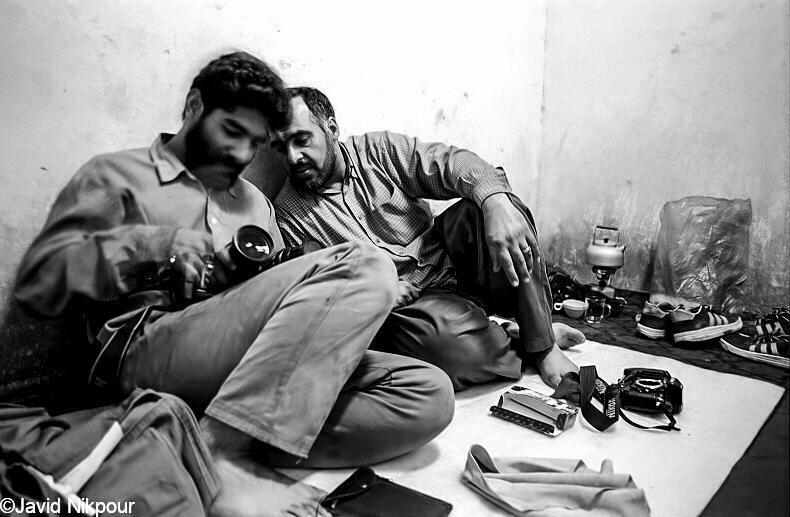 Ahmad Nateghi (right) and Amir Rostami (left) are cleaning and adjusting the camera.